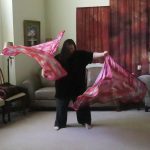 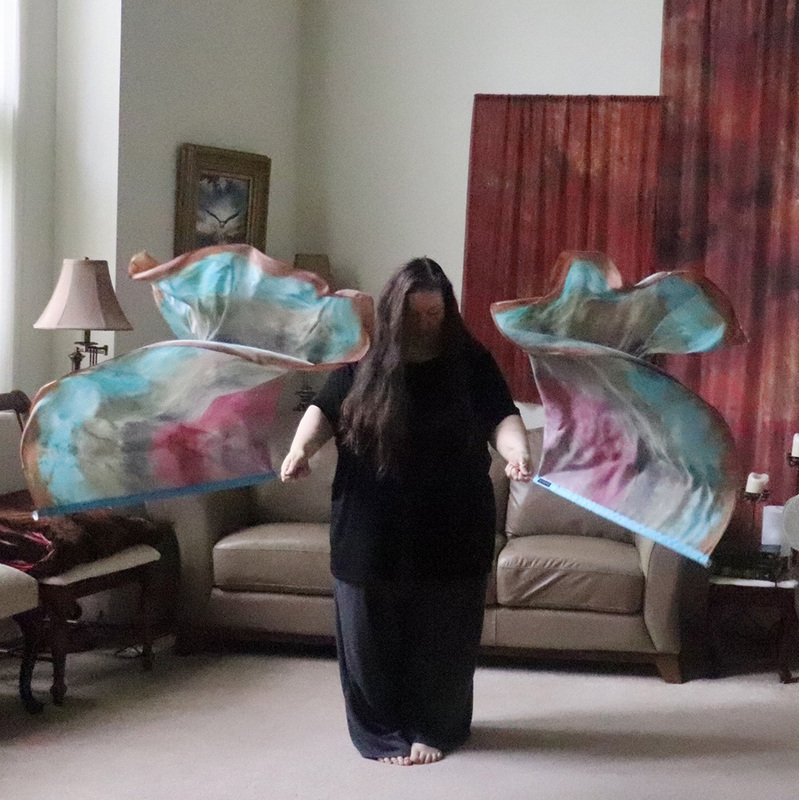 We create prophetic silks. 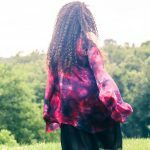 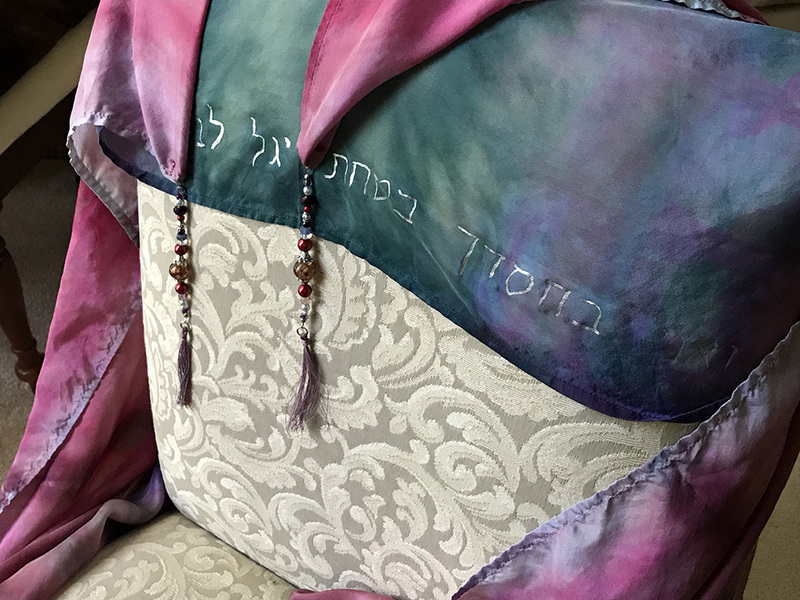 We know it sounds a little crazy, but truly we let God lead and He gives us the colors (and their meanings), names for the silks, scriptures, and more. Your silk comes with a letter that gives the full download. 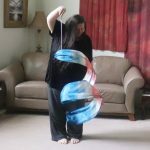 Find out more about the letters and how they’re birthed. 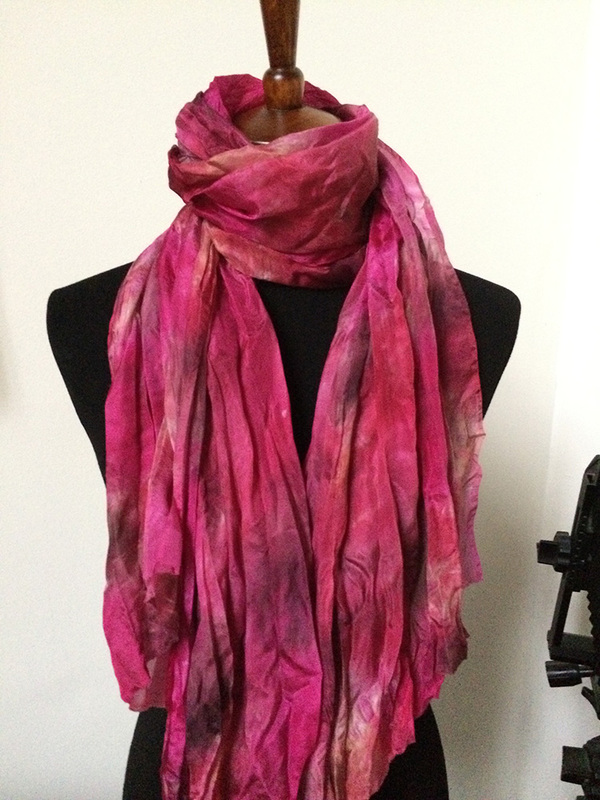 If you’re familiar with what we do, but wondering what Dyed4you Readymade is, it’s simple: Same Silks. 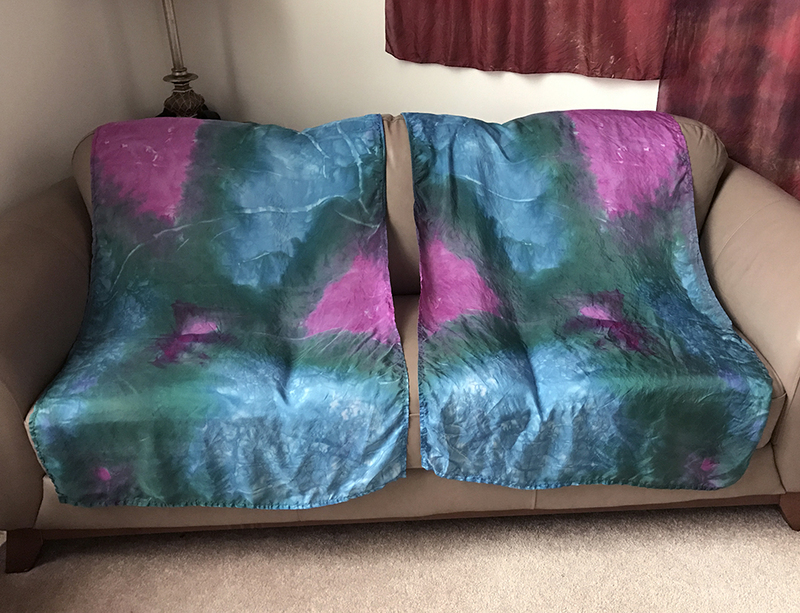 Same Art. 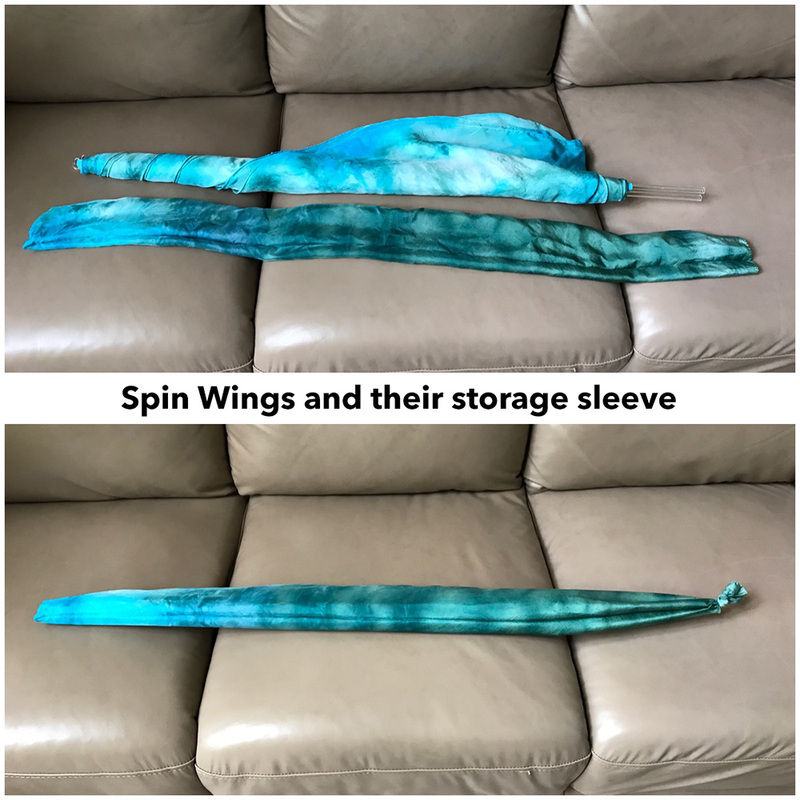 Same Testimonies. 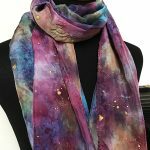 If you visit our Etsy store, almost everything is readymade and ready to ship. 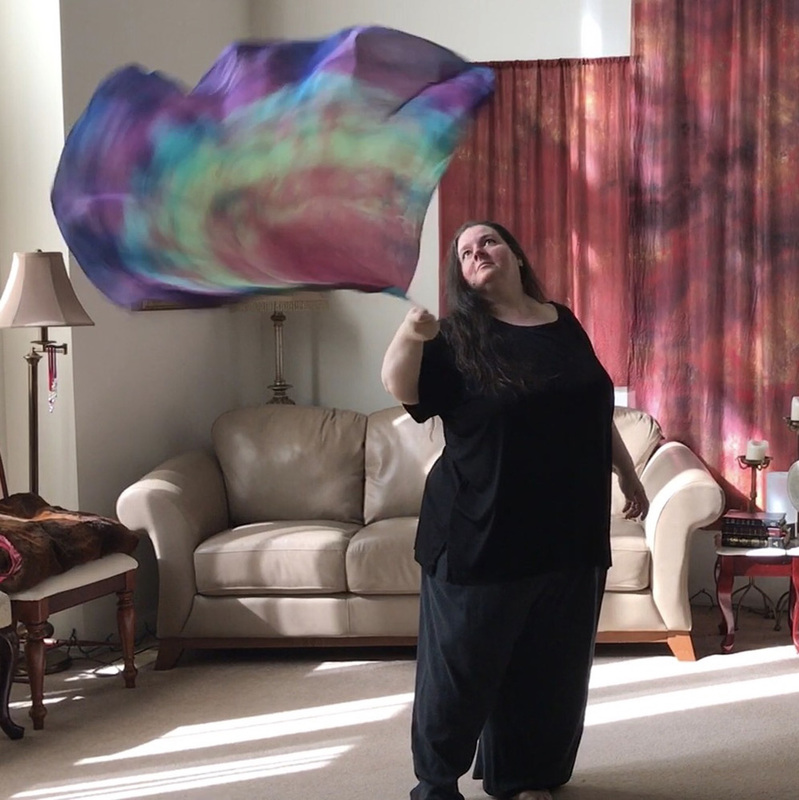 For more information, check out the brief video below. 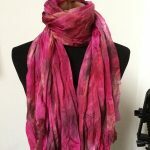 Below are the products you will find some variety of on Dyed4you Readymade. 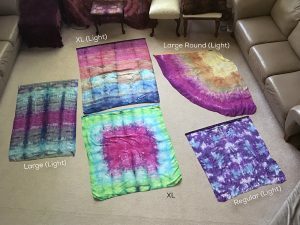 All these are things you can request to have custom made as well (there’s a contact form at the bottom). 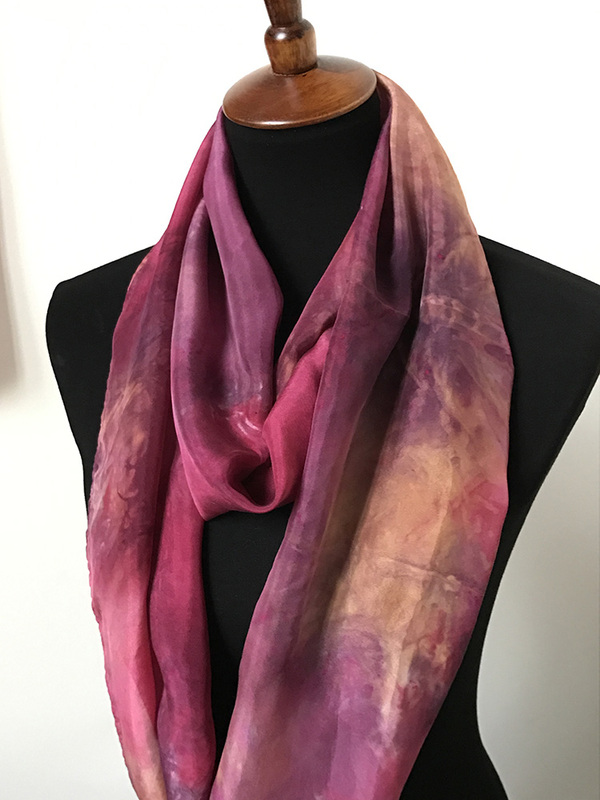 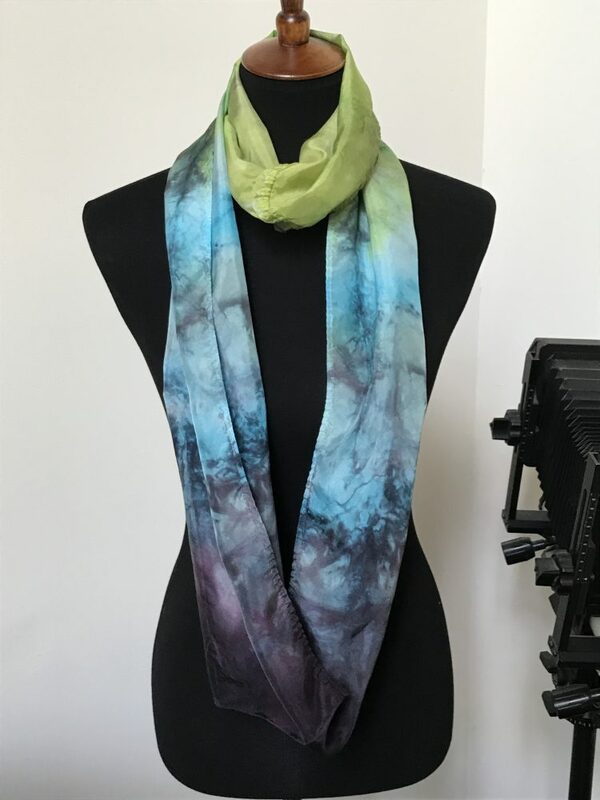 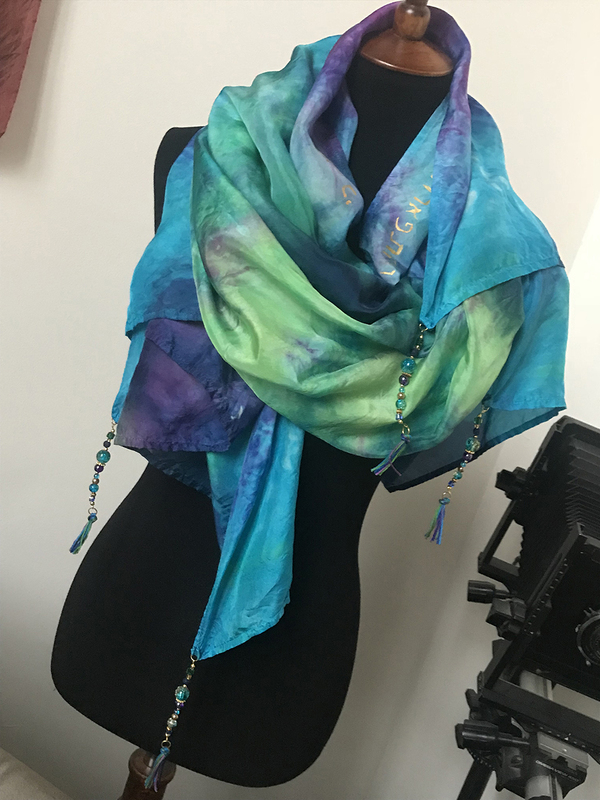 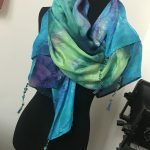 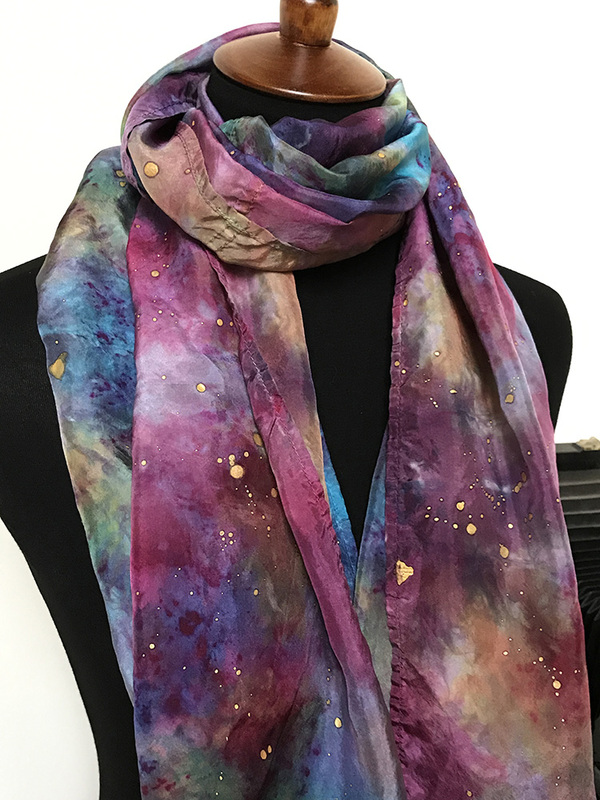 For Dyed4you Art, feel free to visit our gallery or shop in our Square Marketplace. 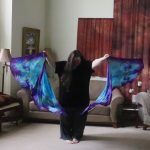 As always, if you have questions, don’t hesitate to ask! 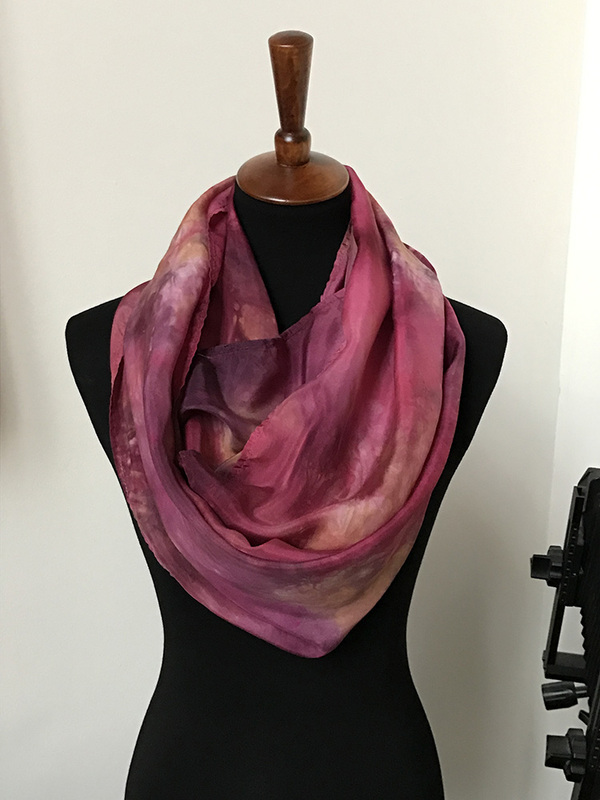 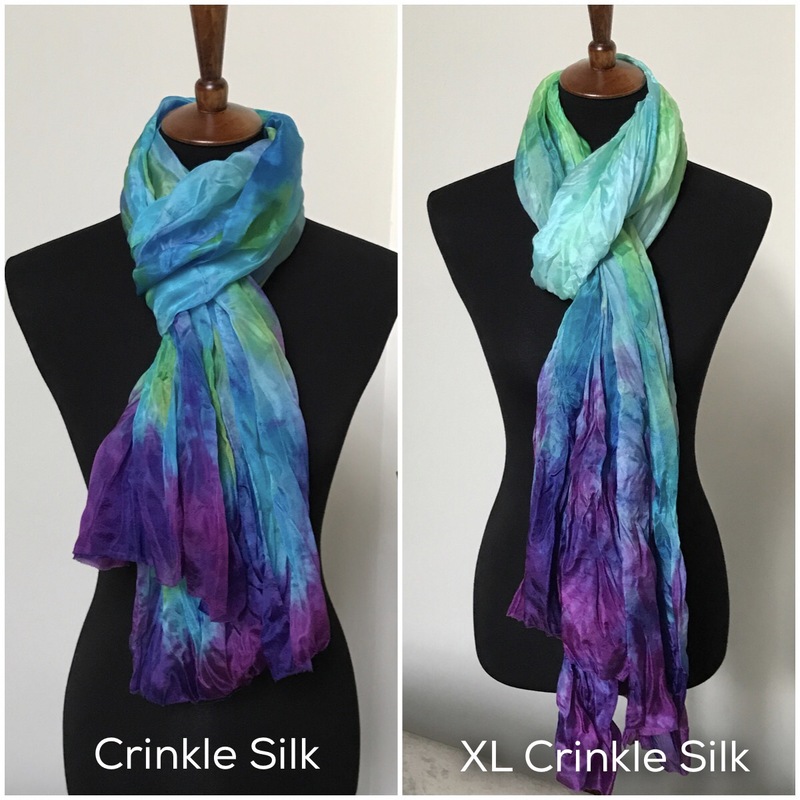 Our Crinkle Silks have a fabulous shabby chic look to them and they’re very low maintenance because if you want it off, just take it off, pretzel it up (How-to Keep a Crinkle Silk Crinkly), and toss it in your bag. 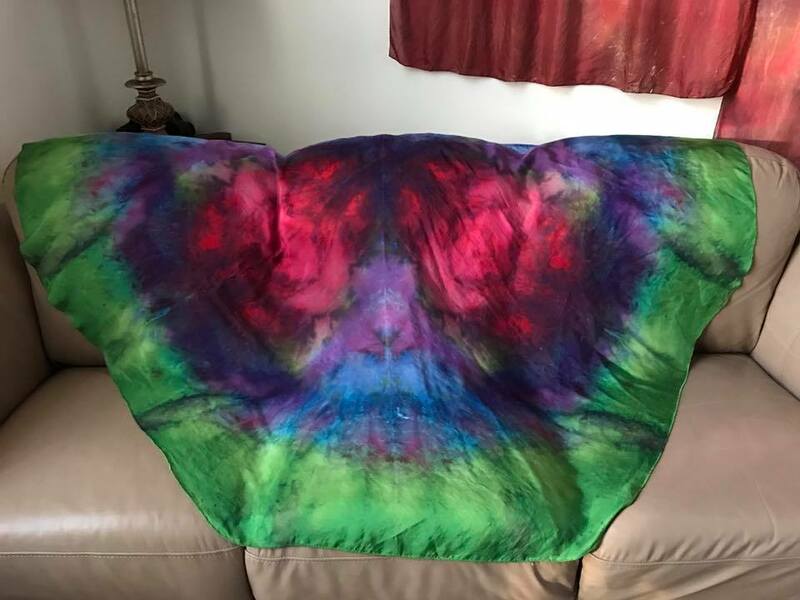 Wrinkles are no worries because this silk loves them! 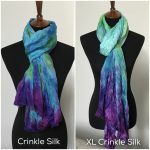 The crinkles give great texture and body to this silk. 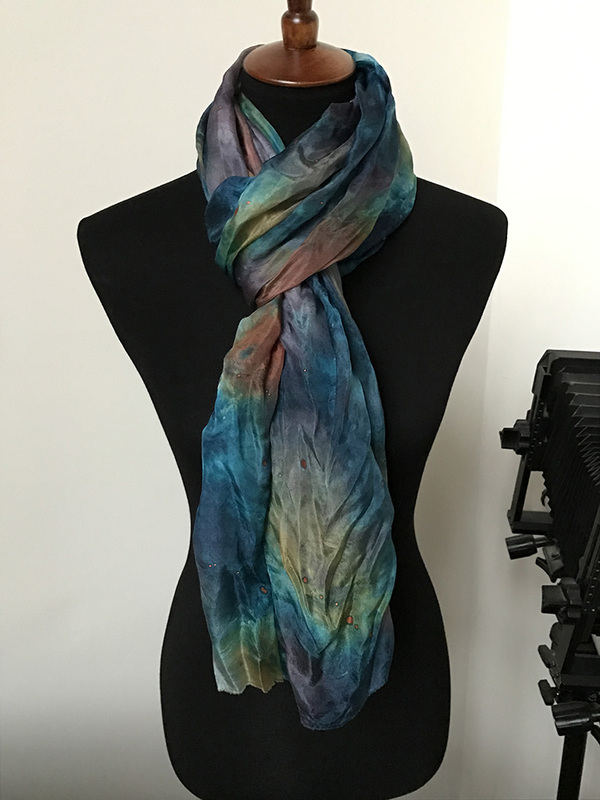 Our Crinkle Silk scarves are 100% habotai silk with a soft, lustrous feel and a shimmery sheen. 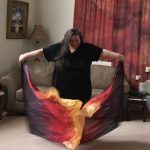 They are very light, which makes them wonderful to wear regardless of temperature (and it also makes it great to dance with!) 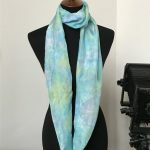 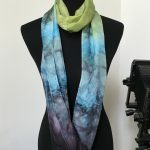 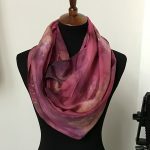 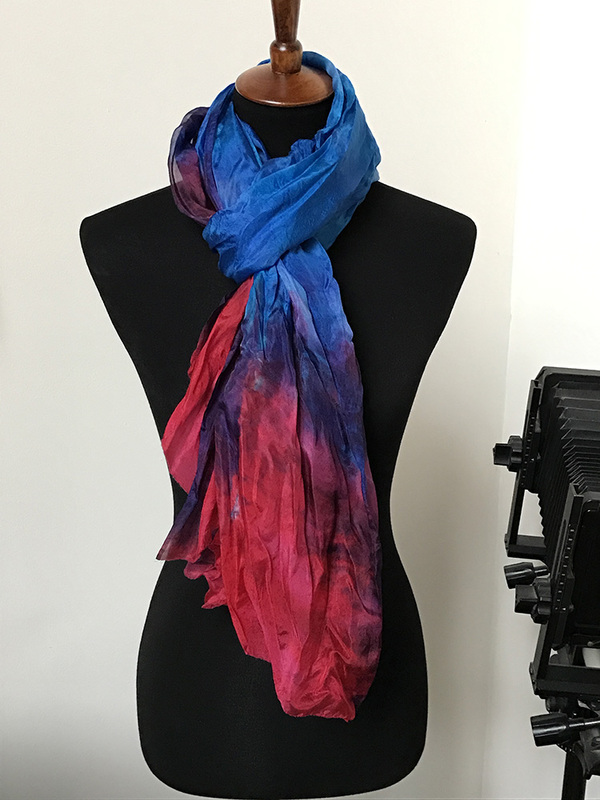 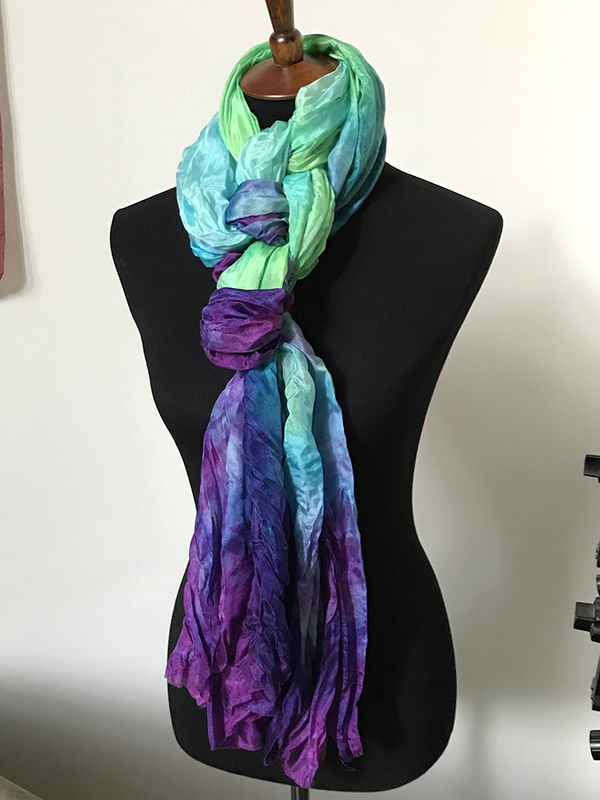 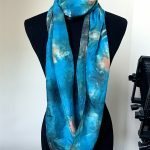 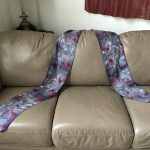 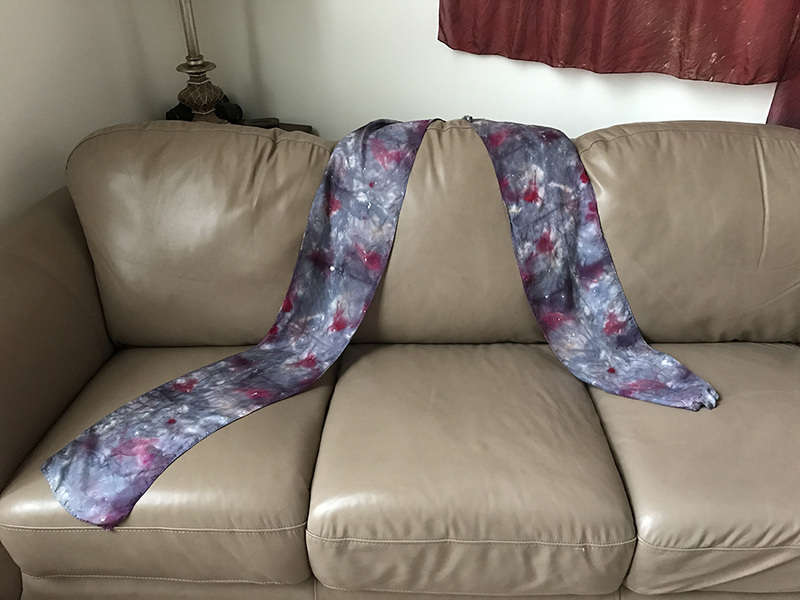 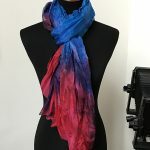 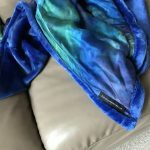 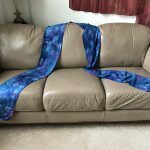 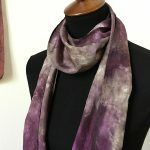 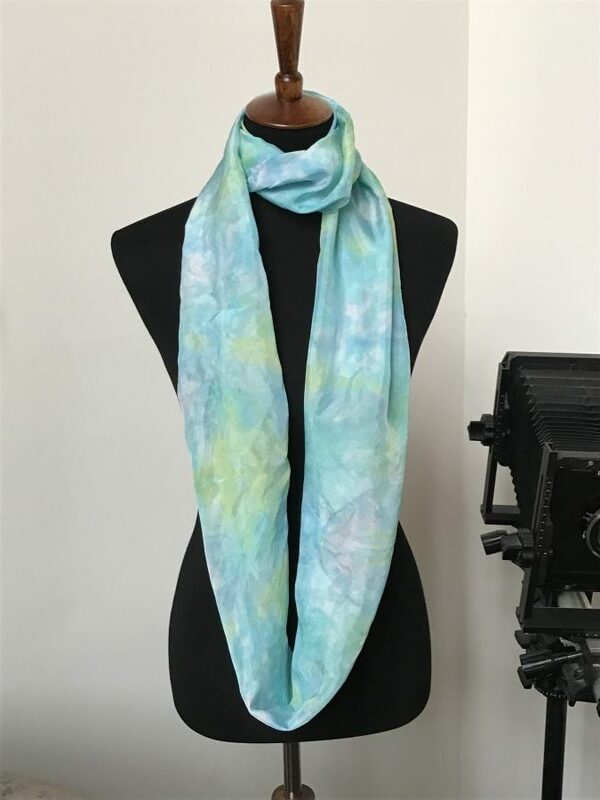 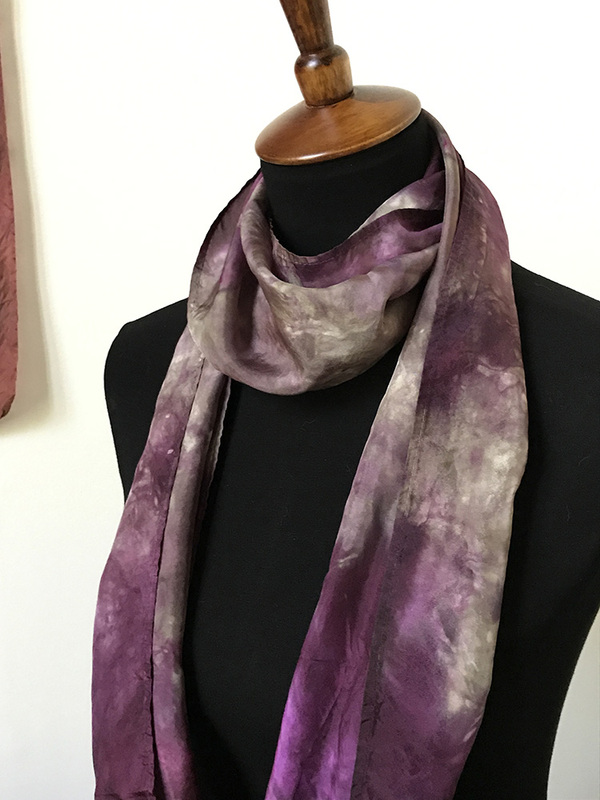 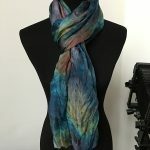 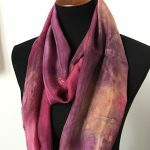 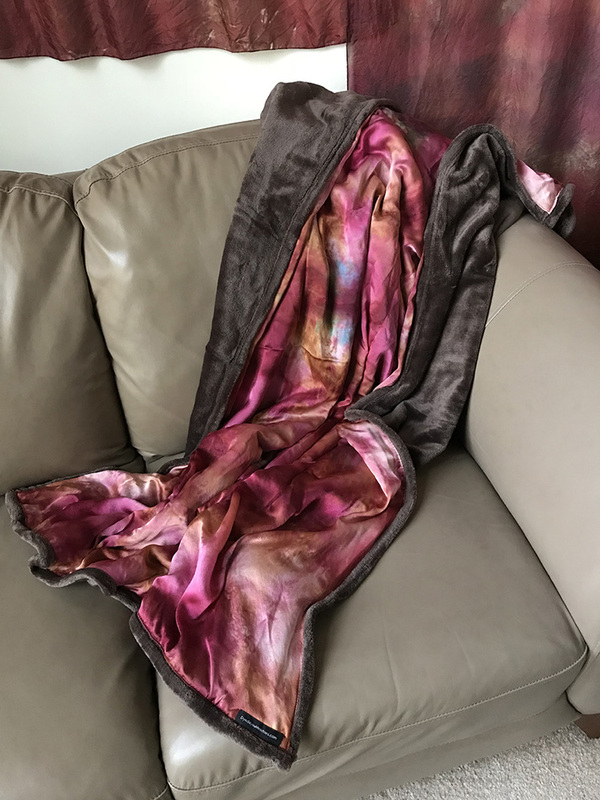 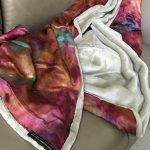 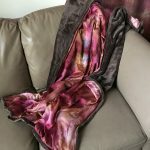 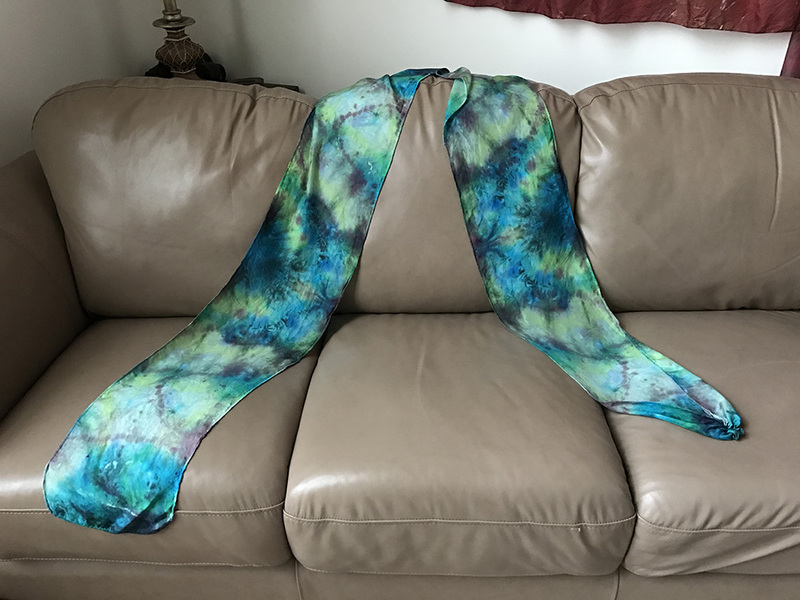 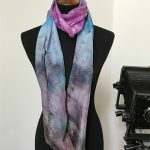 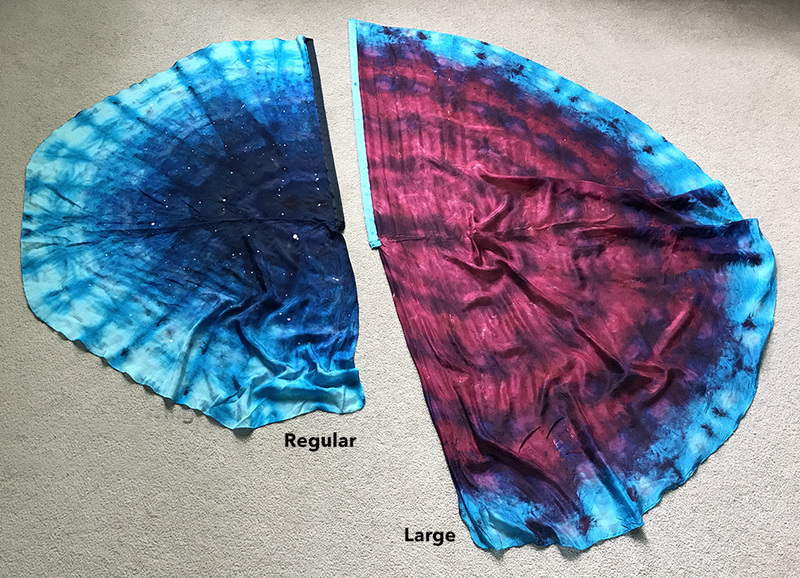 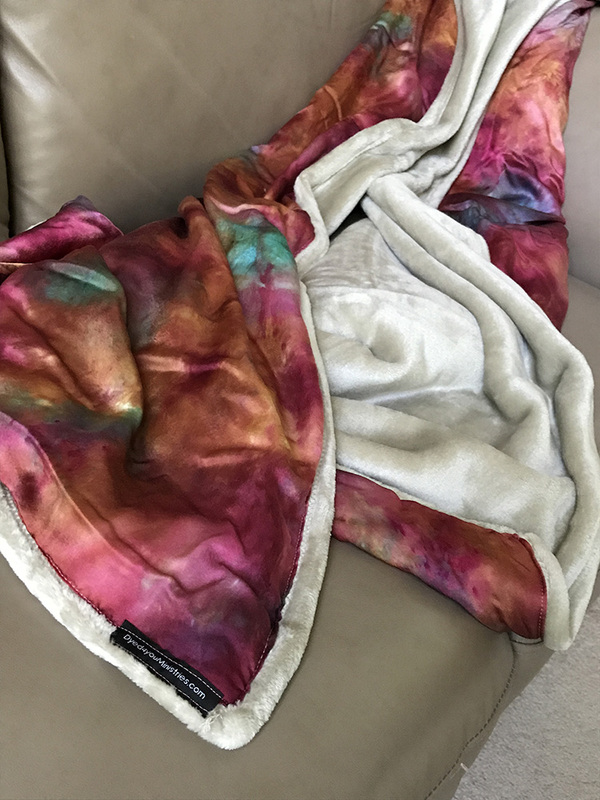 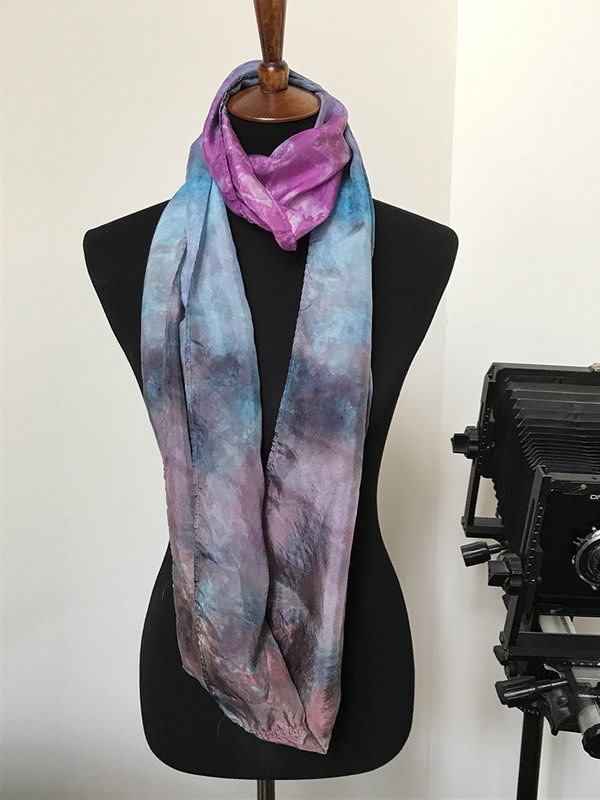 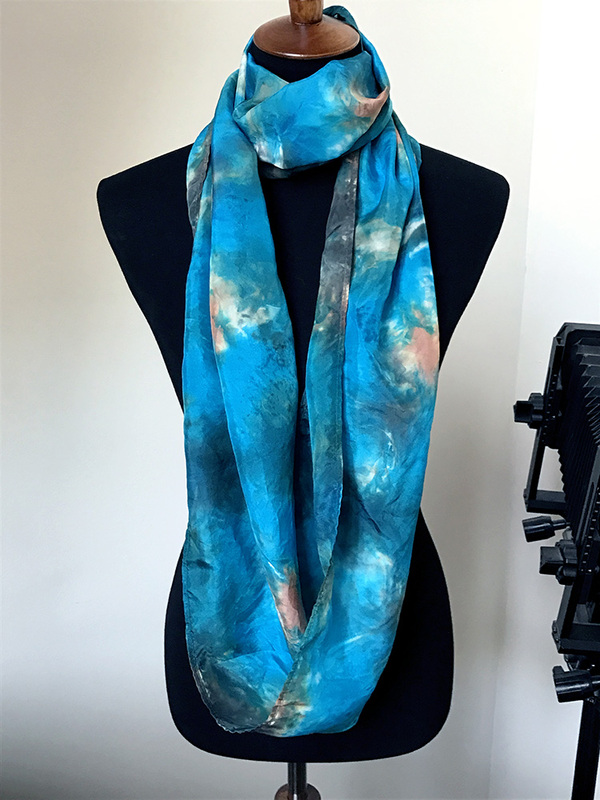 They are approximately 35×72” when pulled flat (or 45×90″ if it is an XL Crinkle Silk), 5mm weight, and have a raw edge that goes with the shabby chic feel of this scarf. 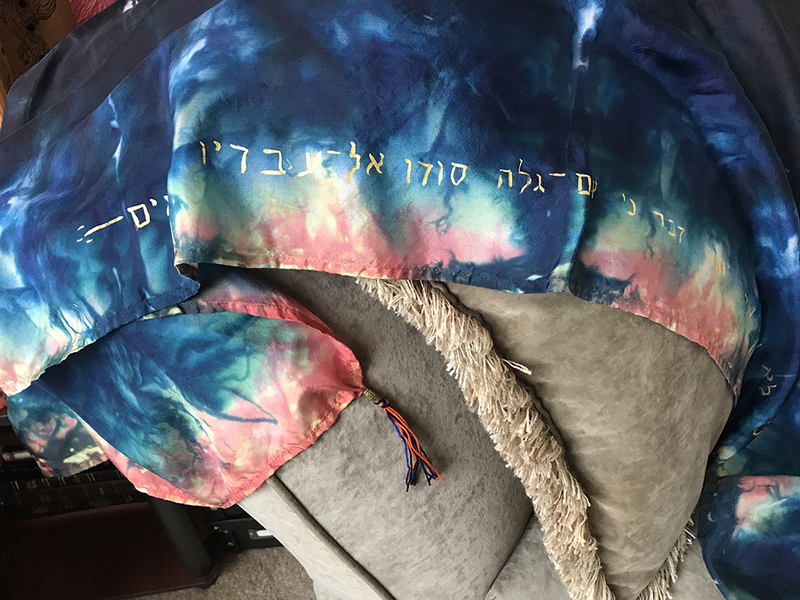 Though we do our best to trim any fine threads from the edge, if we miss one, you can gently trim it. 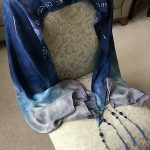 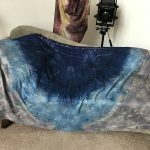 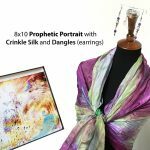 Another cool option if you were wanting a crinkle silk is to get the Prophetic “Portrait” / Crinkle Silk set. 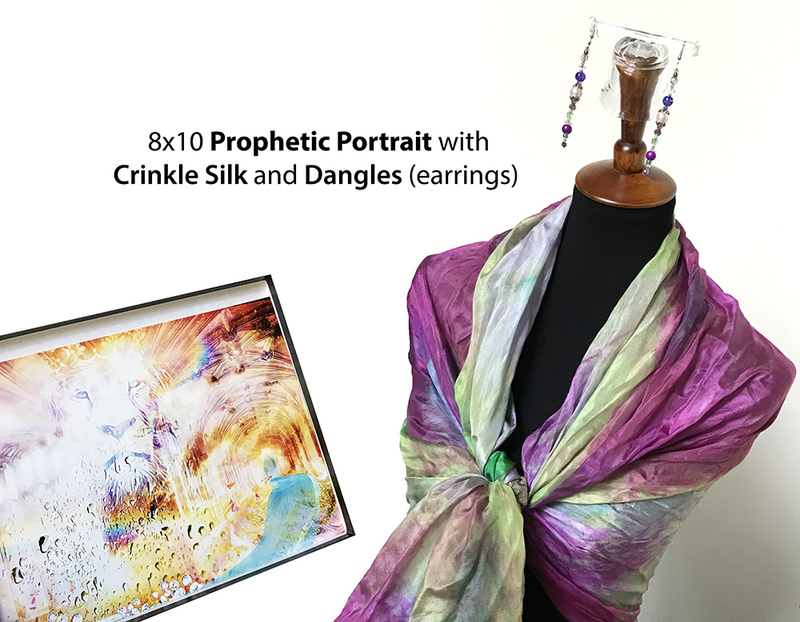 The Prophetic “Portrait” is a piece of new digital artwork that comes printed as an 8×10″ photographic print with a word and your crinkle silk with its word (if you’re familiar with our Dyed4you Art pieces you know there will be a picture of your crinkle silk in the Prophetic “Portrait” somewhere and the two words will be interconnected). 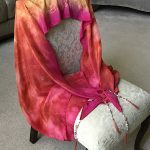 Ever get tired of trying to keep the ends of your scarf hanging even? 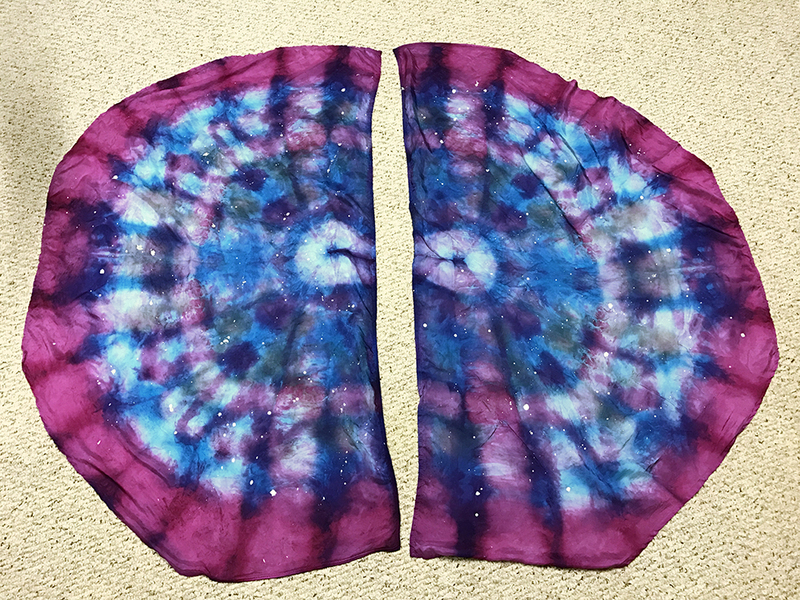 Well I did too! 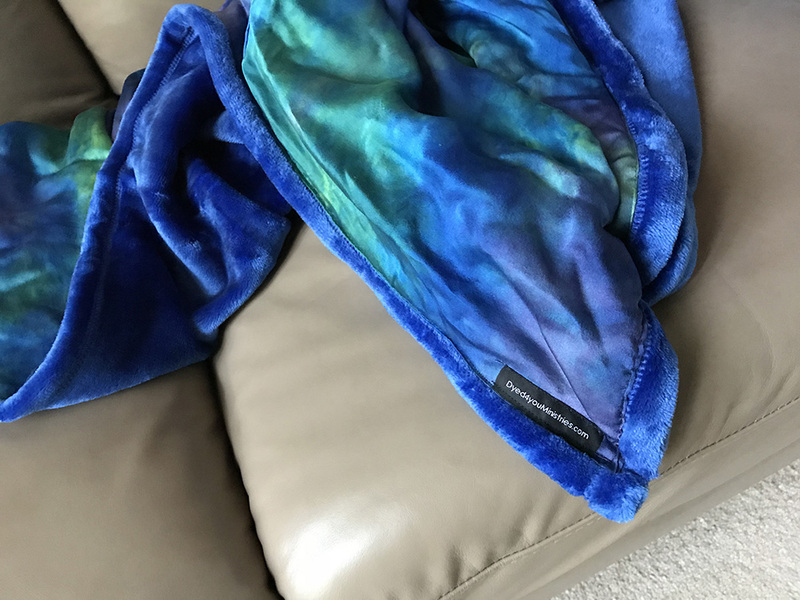 That’s one of the reasons I love our infinity scarves. 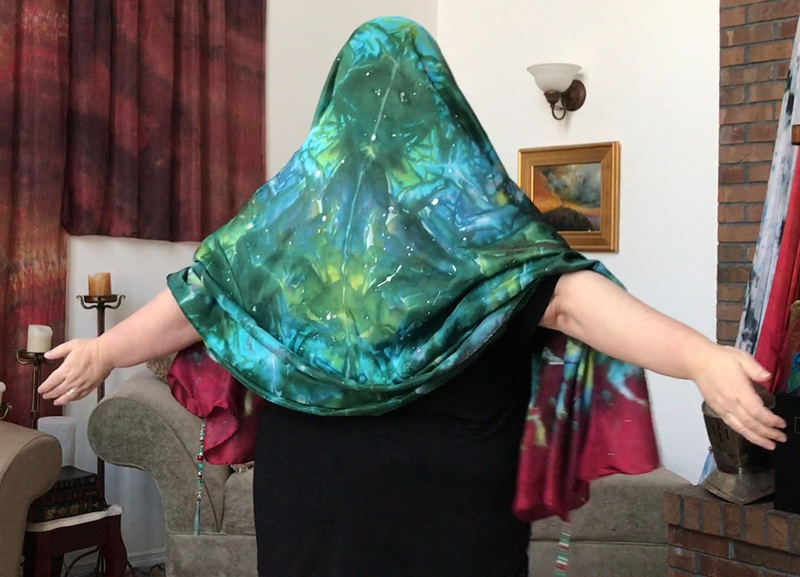 There’s no wrong way to wear them. 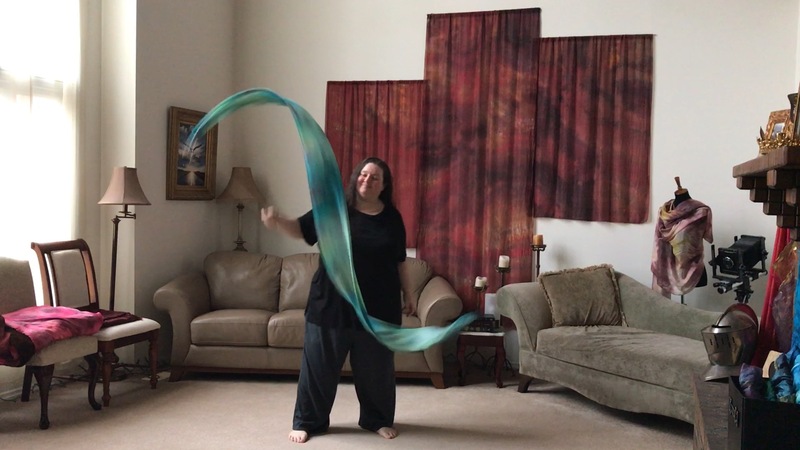 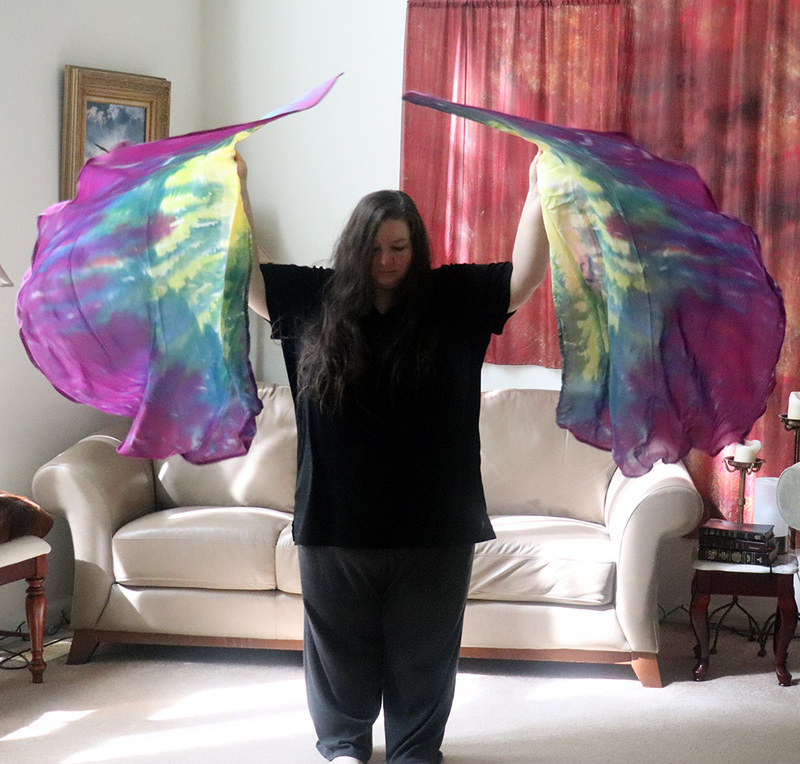 Easy and lightweight, beautiful and versatile, these are fun silks to keep on hand! 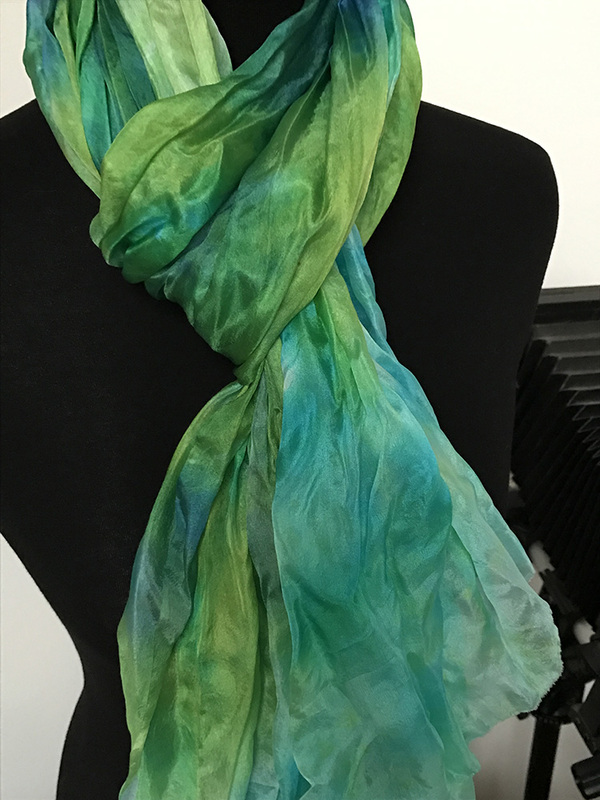 Our Habotai Silk scarves are 100% silk with a light weight and smooth touch. 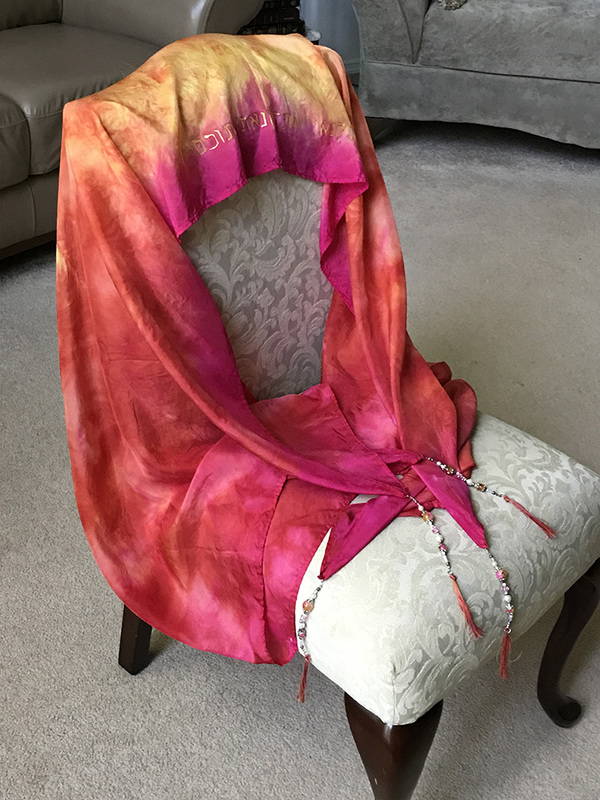 This fabric is what people often call “China silk.” They are light weight with slight sheen to the surface. They are approximately 76” around, 8mm weight, and have a clean, machine-sewn hem. 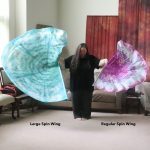 Our spinners are 100% Habotai Silk with a medium-light weight and smooth touch. 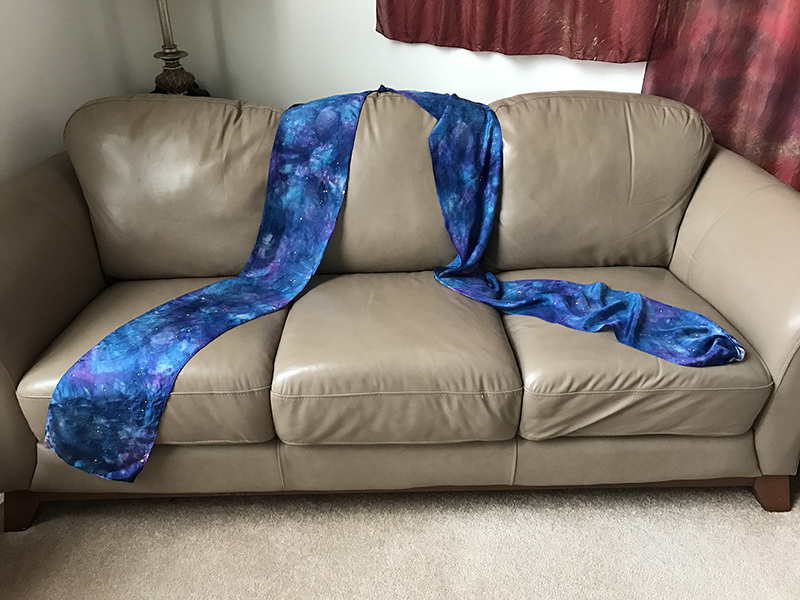 This fabric is what people often call “China silk.” They are 8mm weight, have serged edges; and a coordinating grosgrain ribbon has been sewn on to create a ribbon-reinforced pocket for the rod to “spin” around. 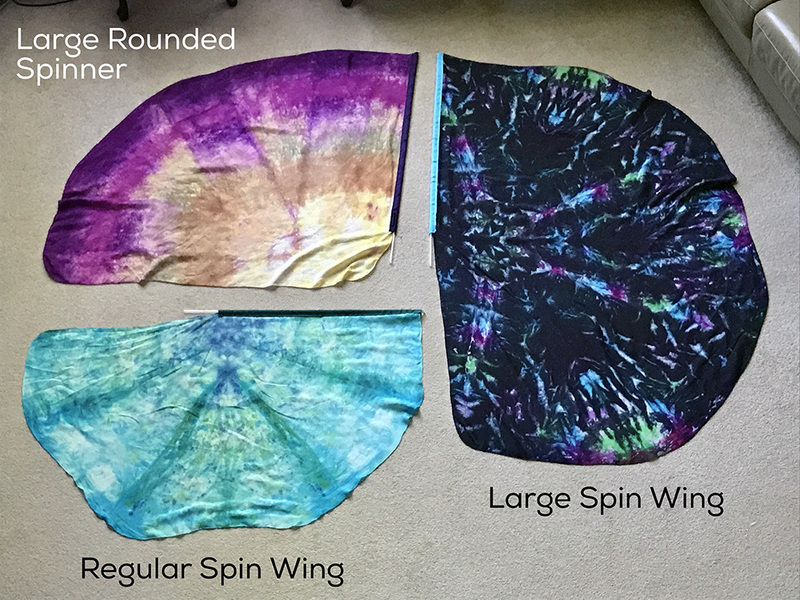 For those who struggle with getting tangled in the “tail” of a wing, the large rounded spinners have a very small flutter panel, but not enough to get tangled on. 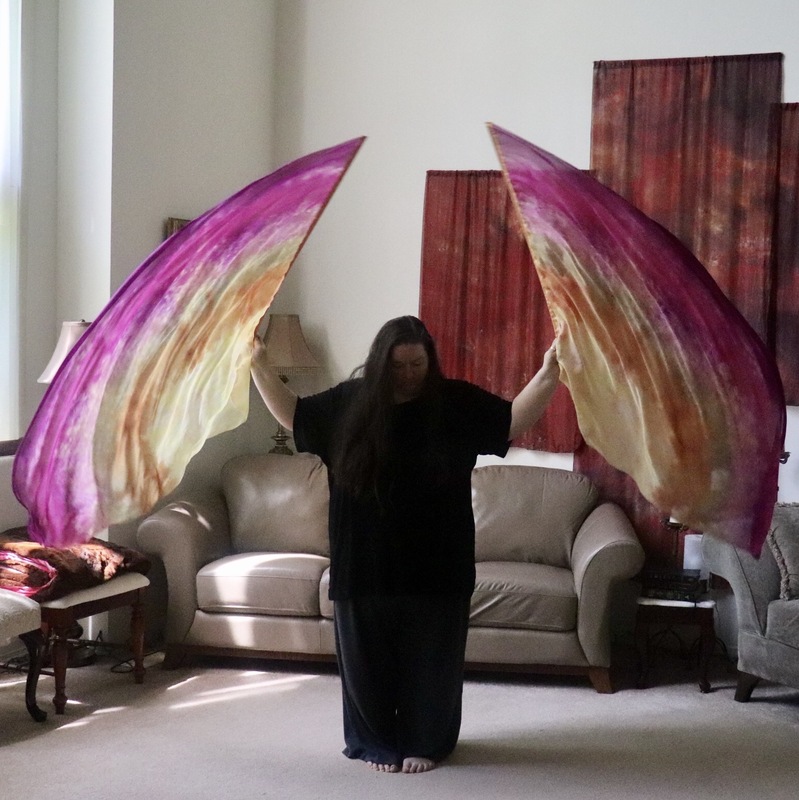 So you get the lovely rounded wing-like look, without the worry of the tail. 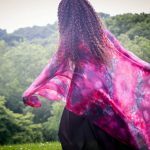 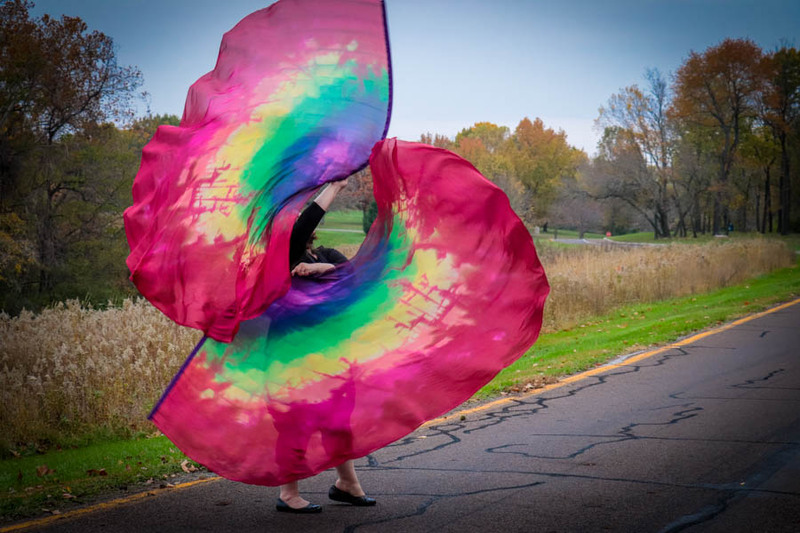 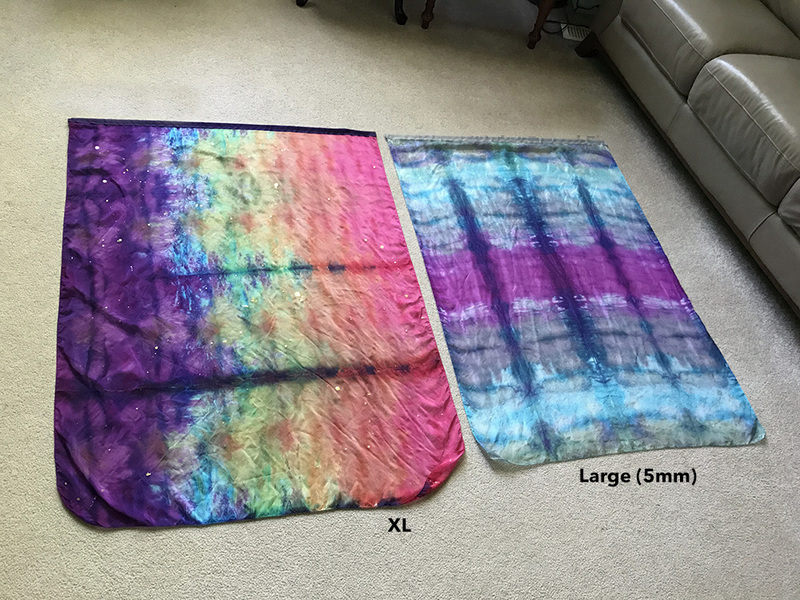 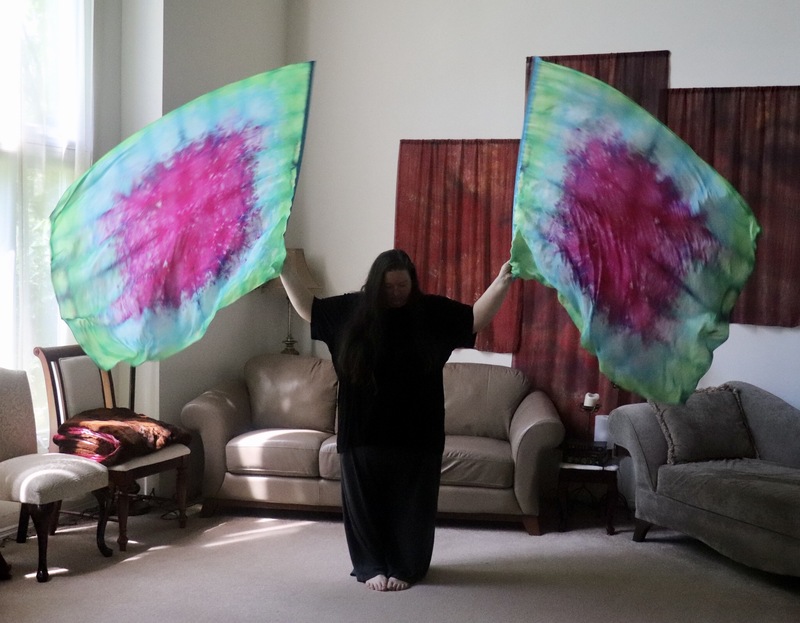 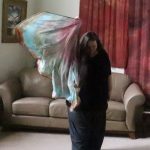 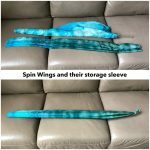 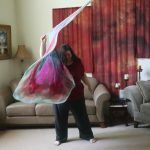 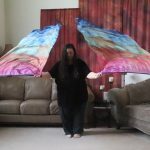 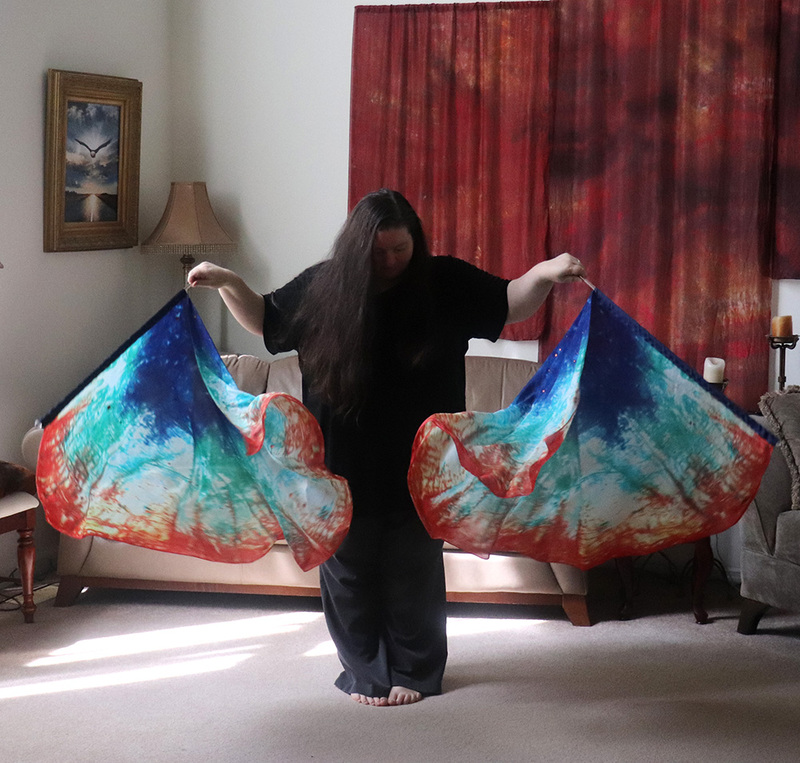 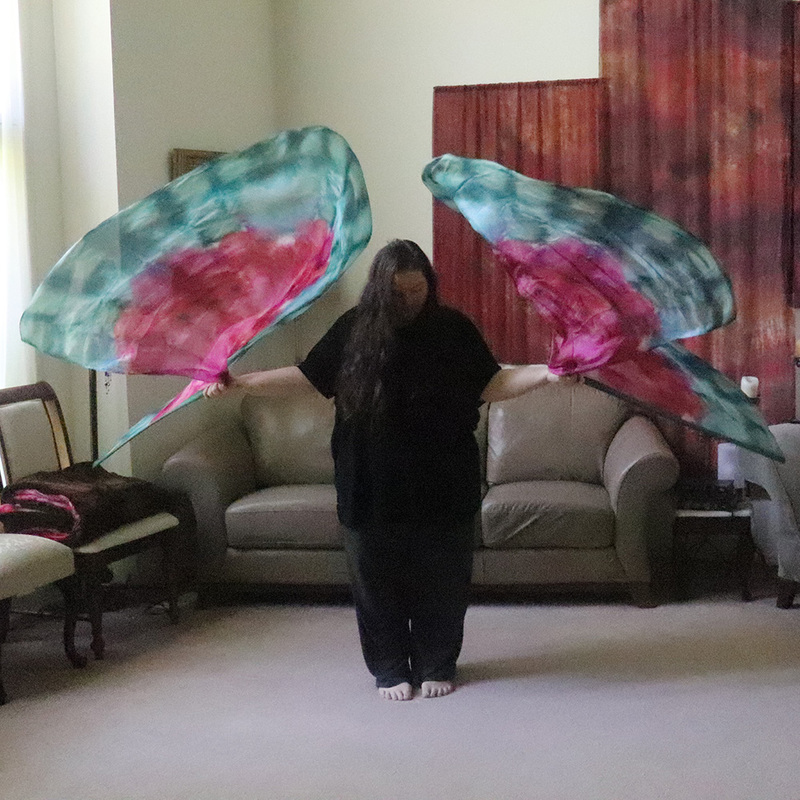 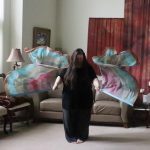 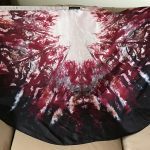 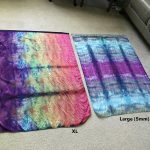 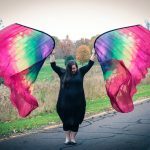 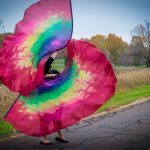 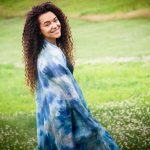 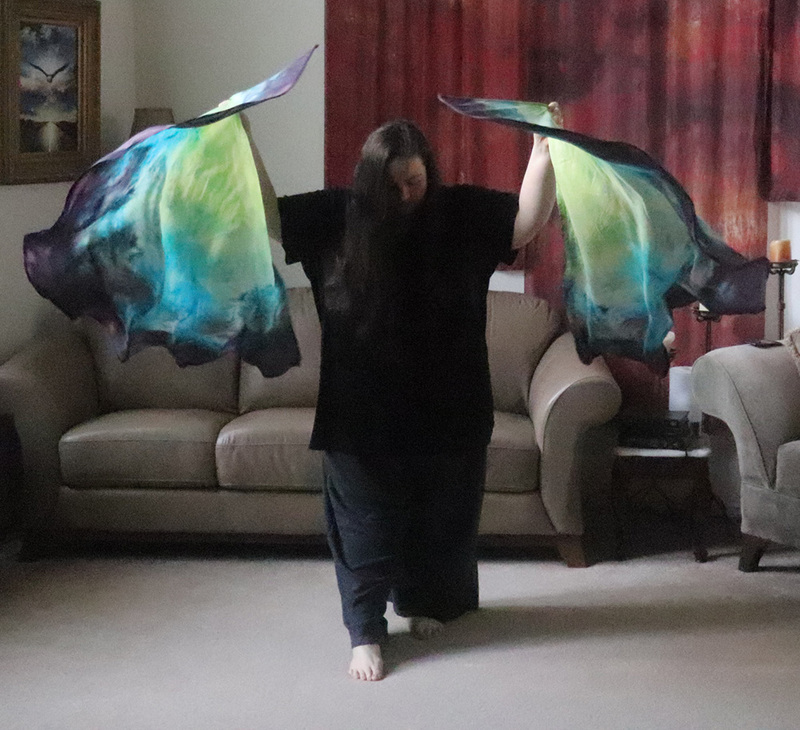 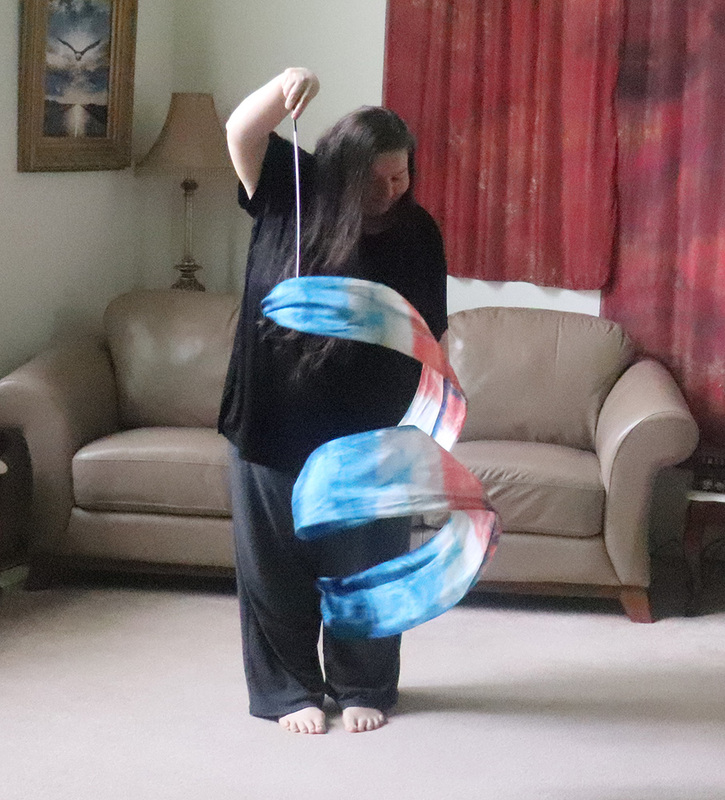 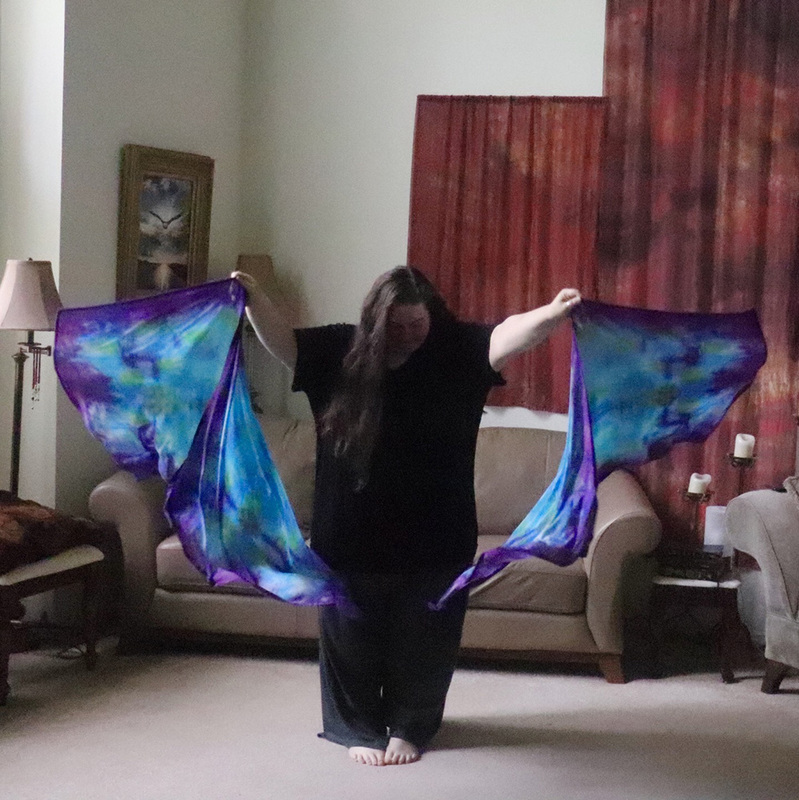 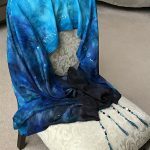 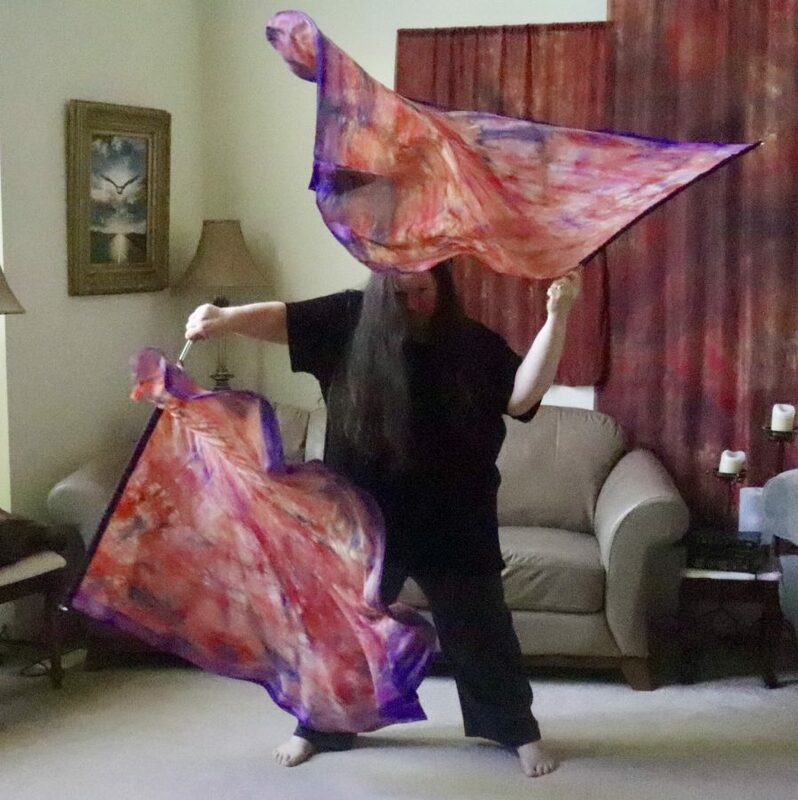 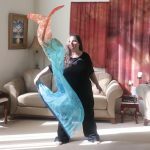 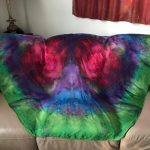 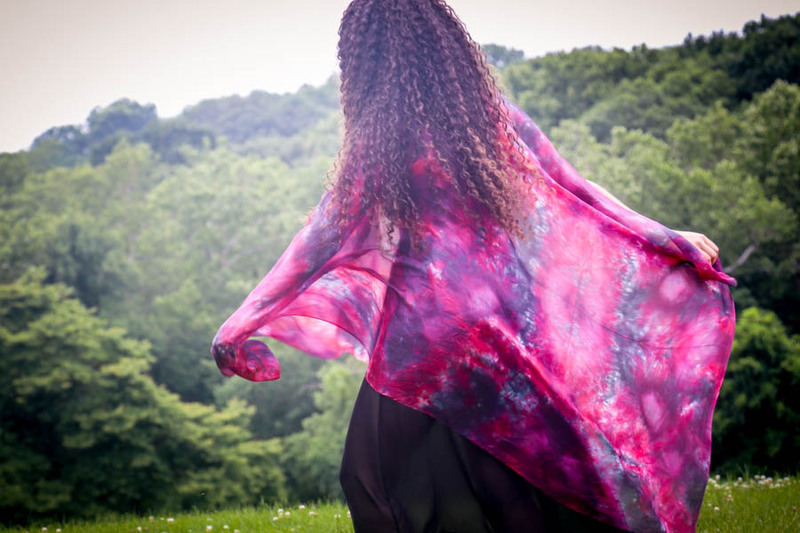 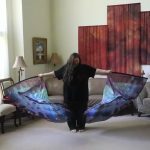 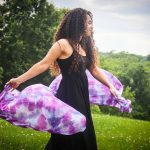 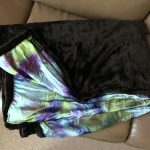 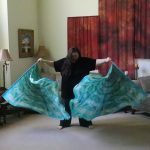 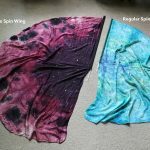 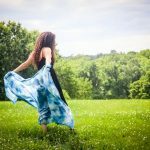 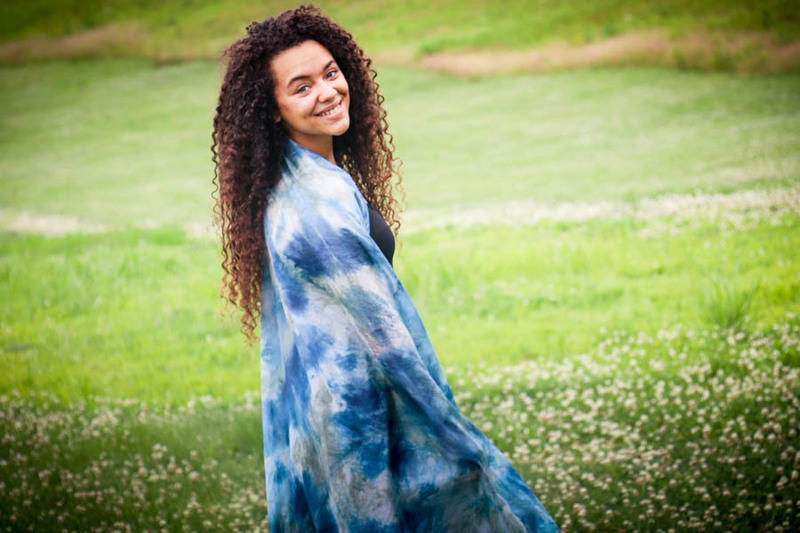 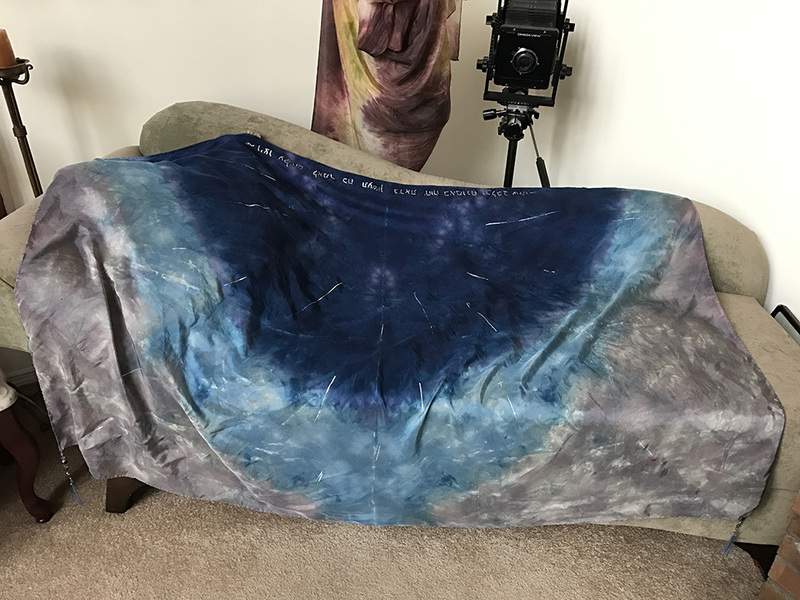 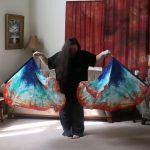 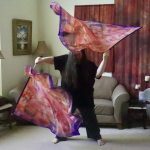 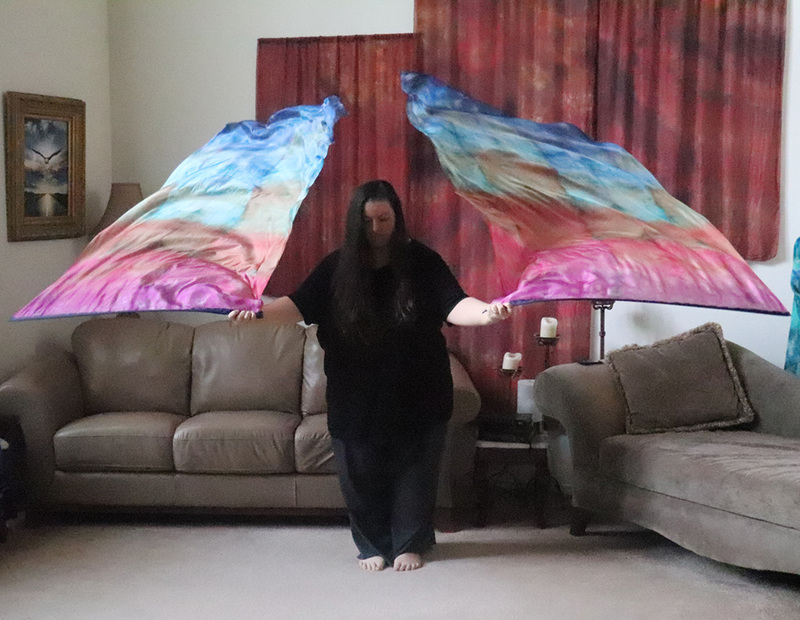 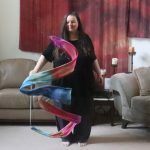 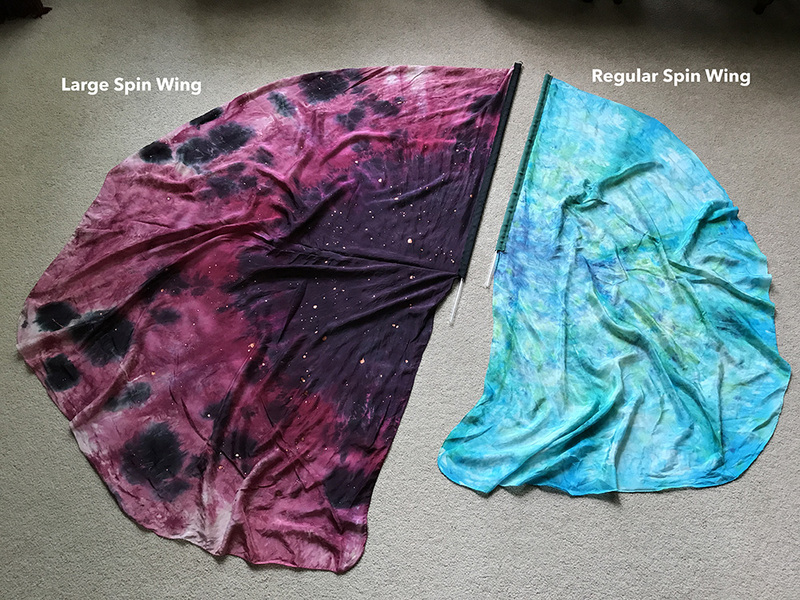 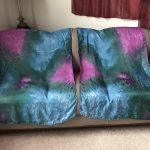 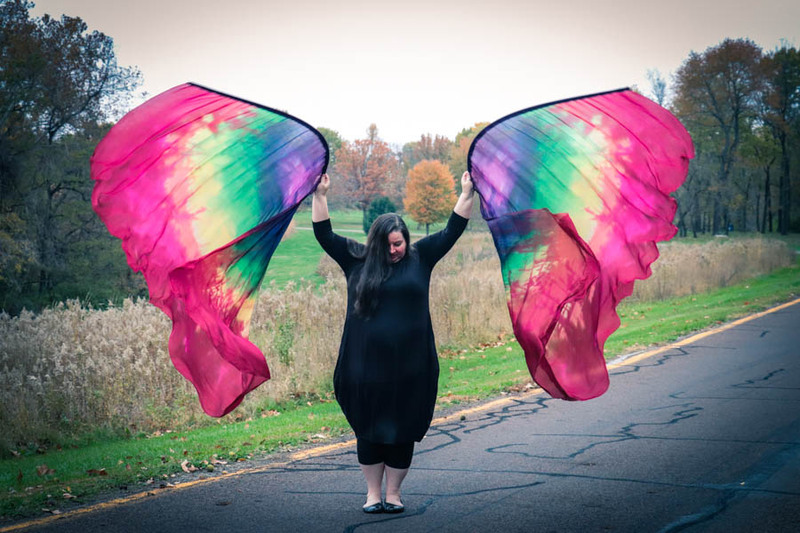 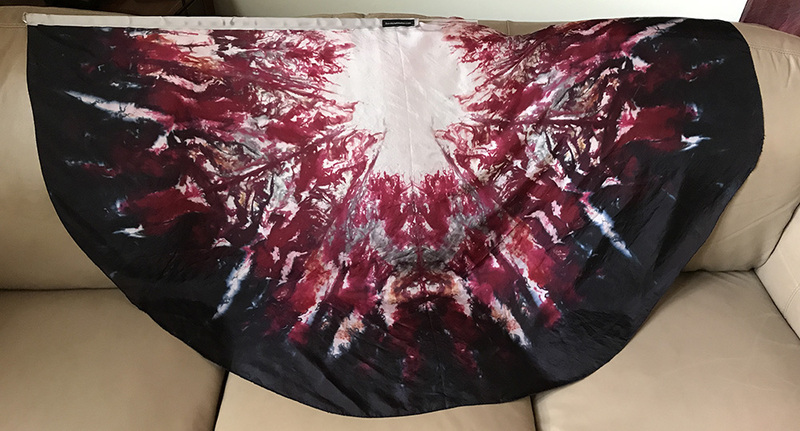 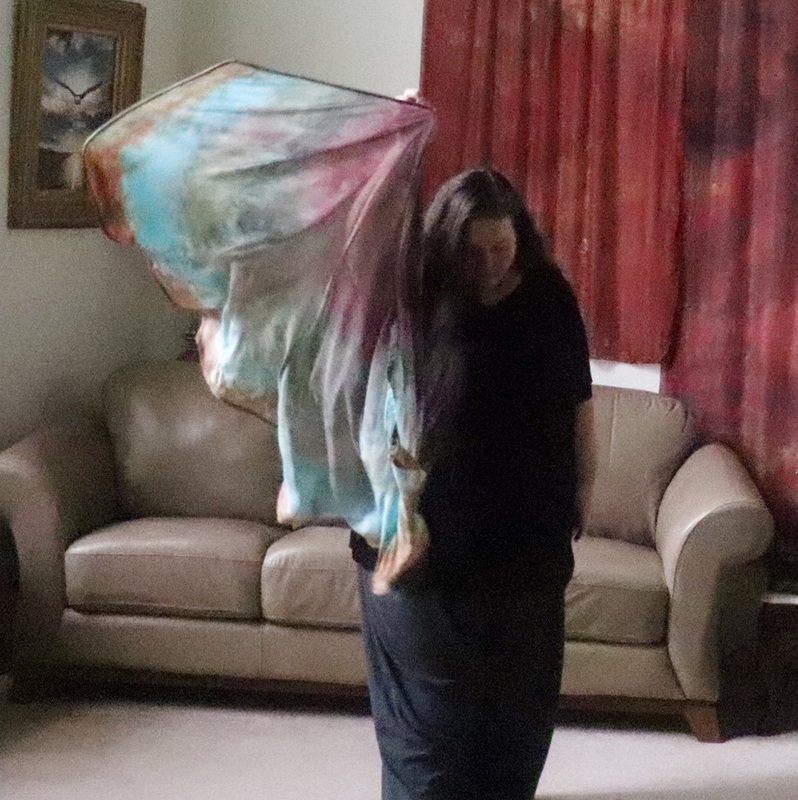 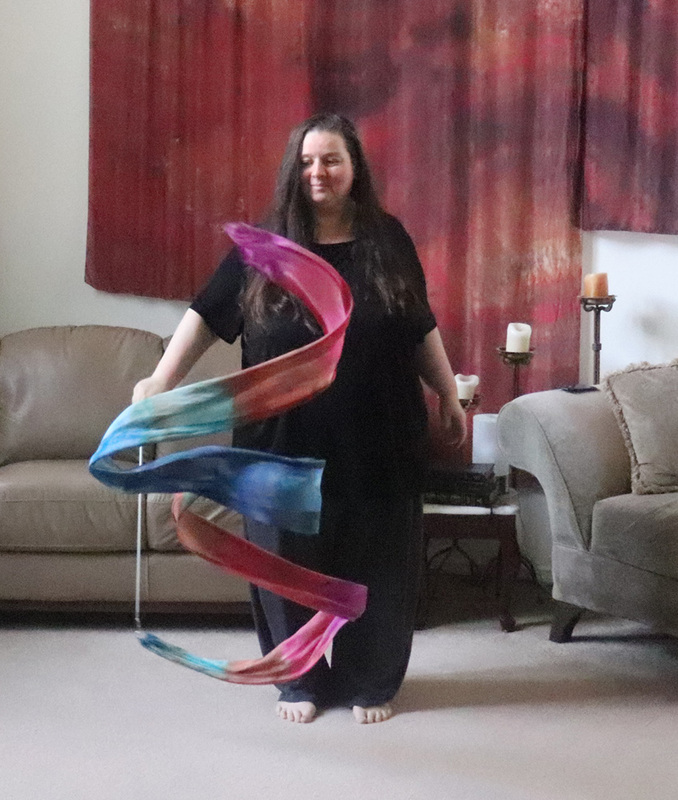 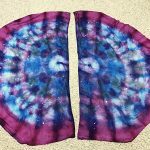 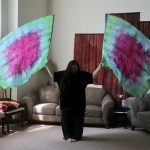 These beautiful and powerful prophetically, hand-dyed silk flags and wings makes a glorious visual statement and are an awesome addition to your arsenal. 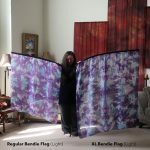 These wings and flags come with a ribbon-reinforced area that houses our flexible “bendie” rods. 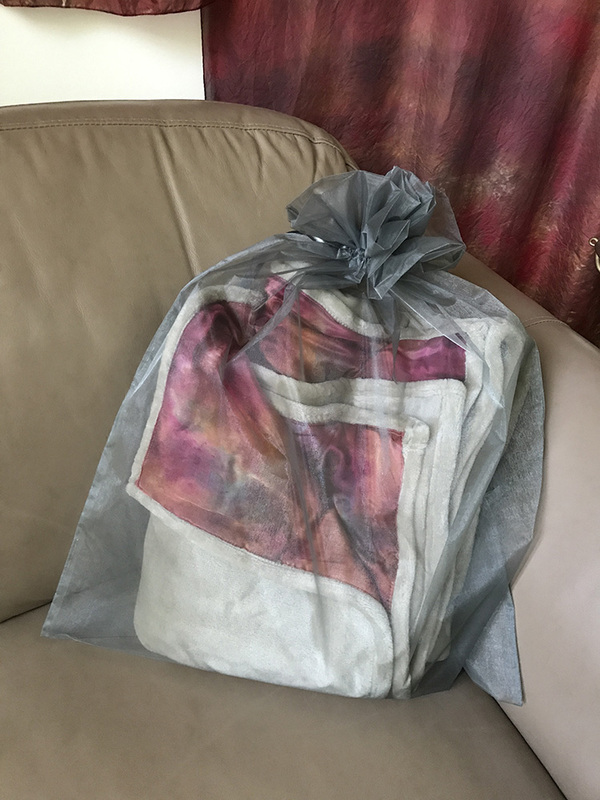 Bendies come with an organza storage bag. 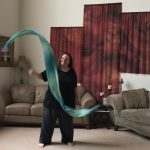 Our bendie tools are 100% Habotai Silk with a light weight and smooth touch. 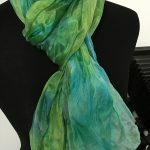 This fabric is what people often call “China silk.” The come in two different weights of silk (5mm and 8mm). 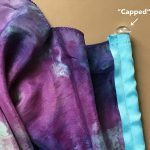 Some of bendies have serged edges and others are serged just on the end and are selvedge on the sides (if you aren’t sure what we mean – we explain our seams on our FAQ page). 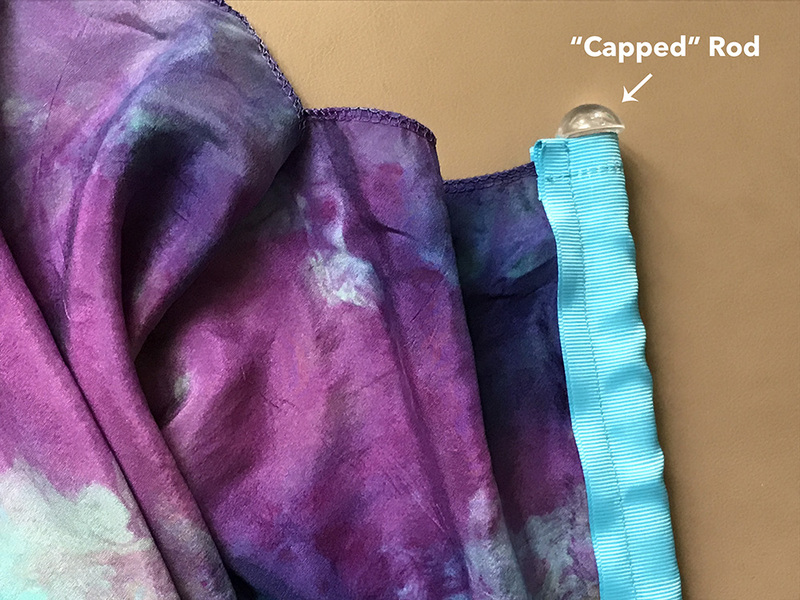 All bendies have a grosgrain ribbon sewn on to create a ribbon-reinforced pocket where the bendie is housed. 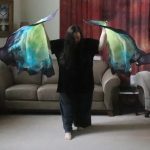 This is the area you’ll hold when using your flags and wings. 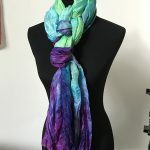 NOTE: Other sizes and styles are available on request (e.g. 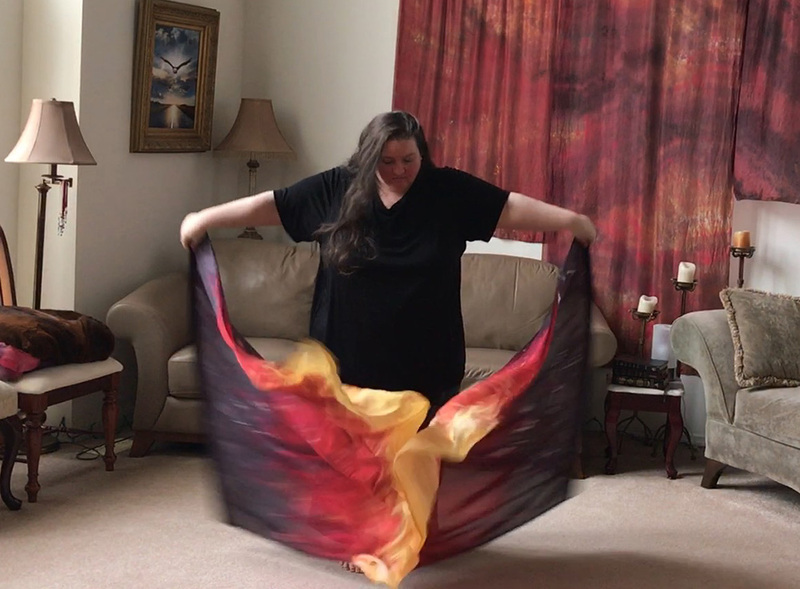 flame edges). I adore the wing shape which is why Dyed4you Readymade launched the swing wings, which were then adopted into our Dyed4you product line as well. The wings more just as easily and beautifully as the swing flags do, but the rounded edge just adds an extra something. 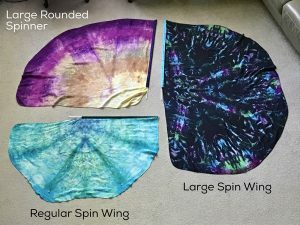 No worries though if your a swing flag fan, we try to keep a few of them in stock as well! 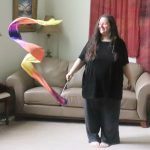 Streamers are a lovely, light worship tool, work well for children, and are inexpensive too! 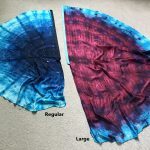 These hold up well in corporate worship (shared worship tools tend to take a beating and time and experience has shown me streamers hold up better than pretty much any other tool). 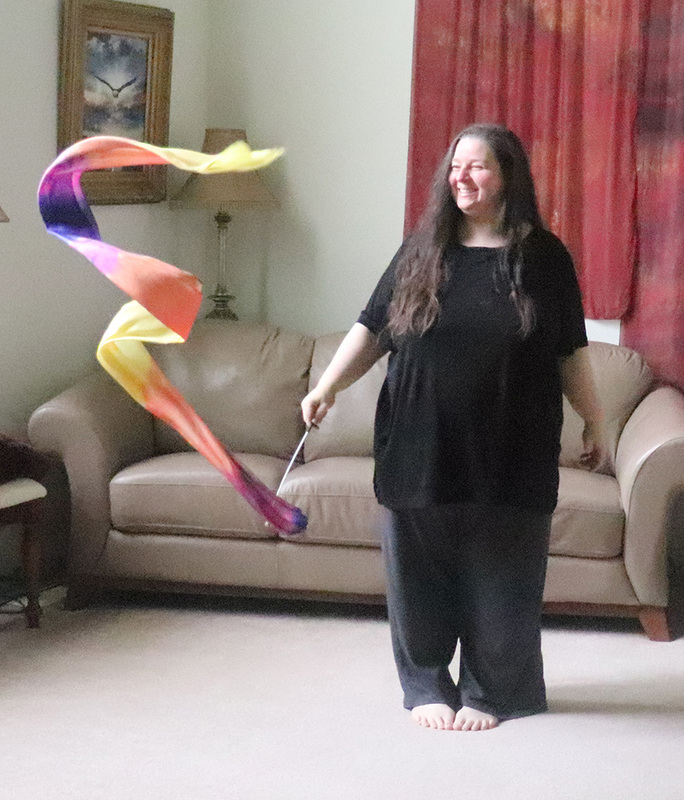 I love the way these “write” in the air as you move with them. 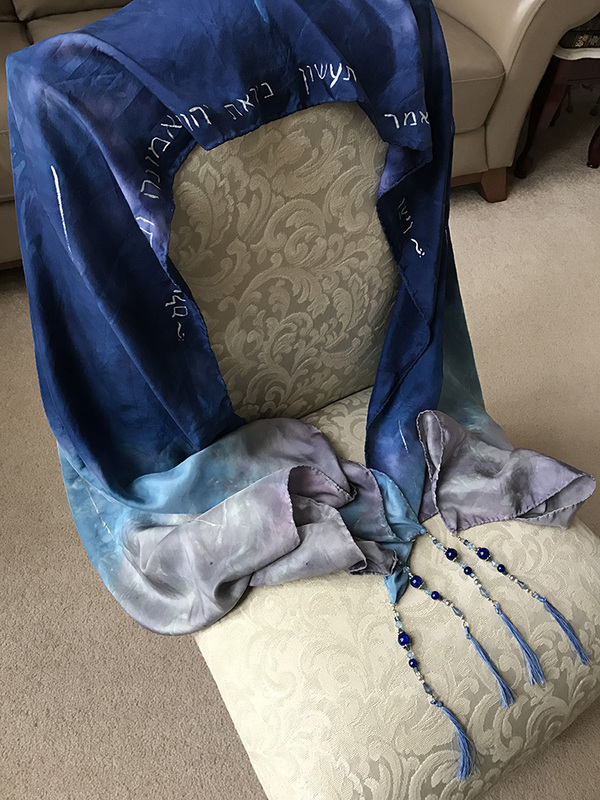 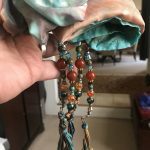 These oversized beaded tallits are wonderful to wrap up in during quiet times of prayer. 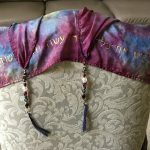 They have handmade tassels or beaded tzitzits on the four corners (Deuteronomy 22:12) and each tzitzit has 1 intentionally blue strand running through its hand-crafted tassel (Numbers 15:37-41). 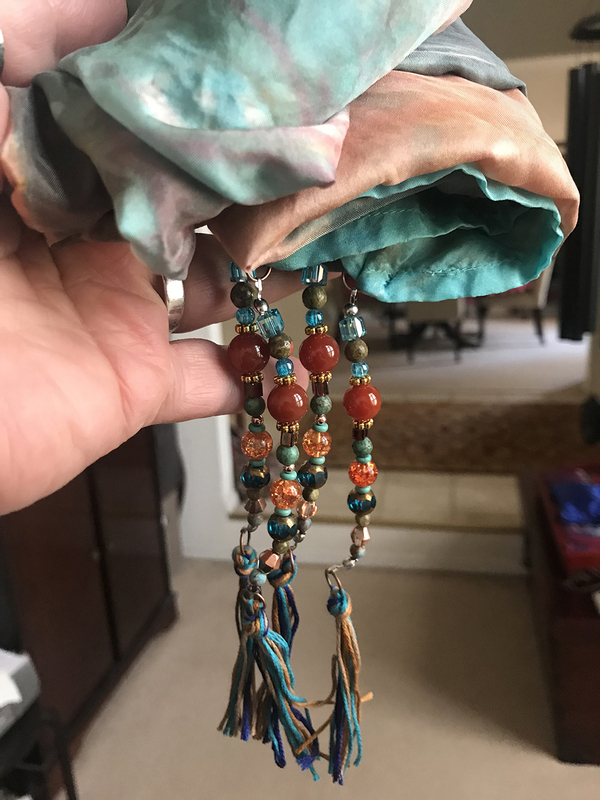 Jewish tradition states that these tassels must be created intentionally, much in the same way one doesn’t wake up one morning and OOPS have a wedding ring on. 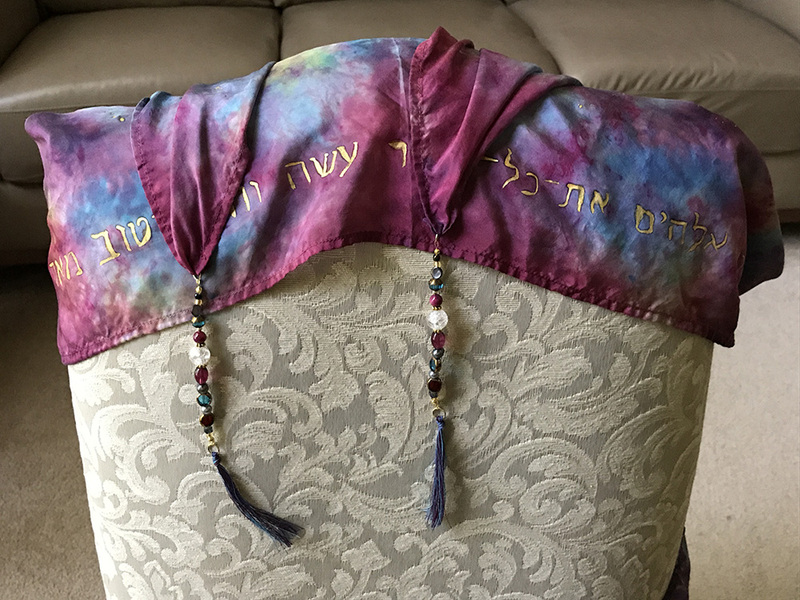 These symbolize your commitment to the LORD and to His word. 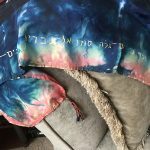 Additionally, you can request a scripture that coordinates with the silk letter be painted in Hebrew on the silk. 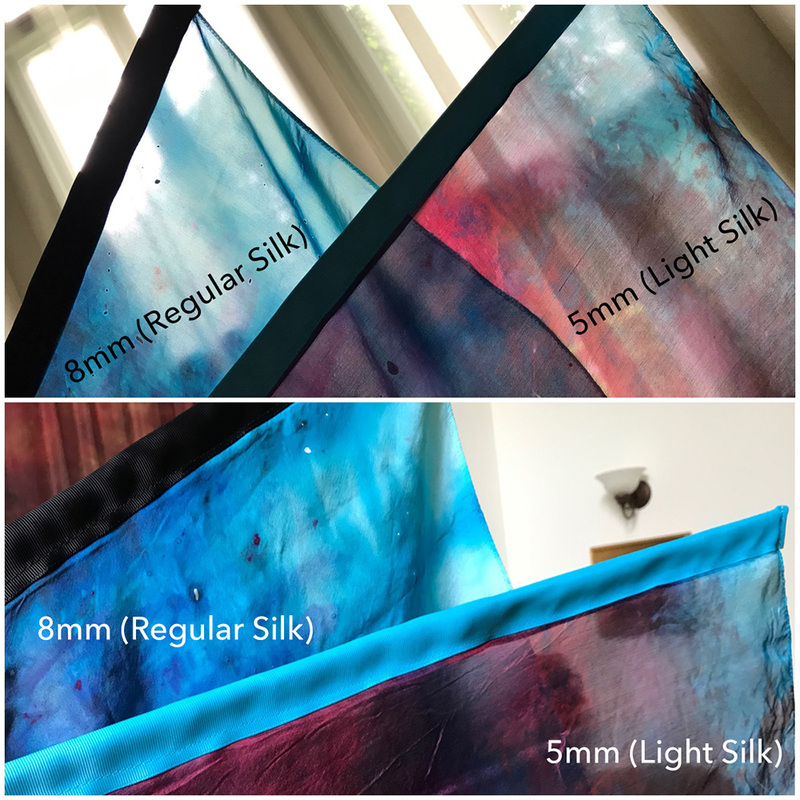 Our silk tallits are 100% 8mm Habotai silk, which has a light but sturdy weight and smooth touch with slight sheen to the surface. 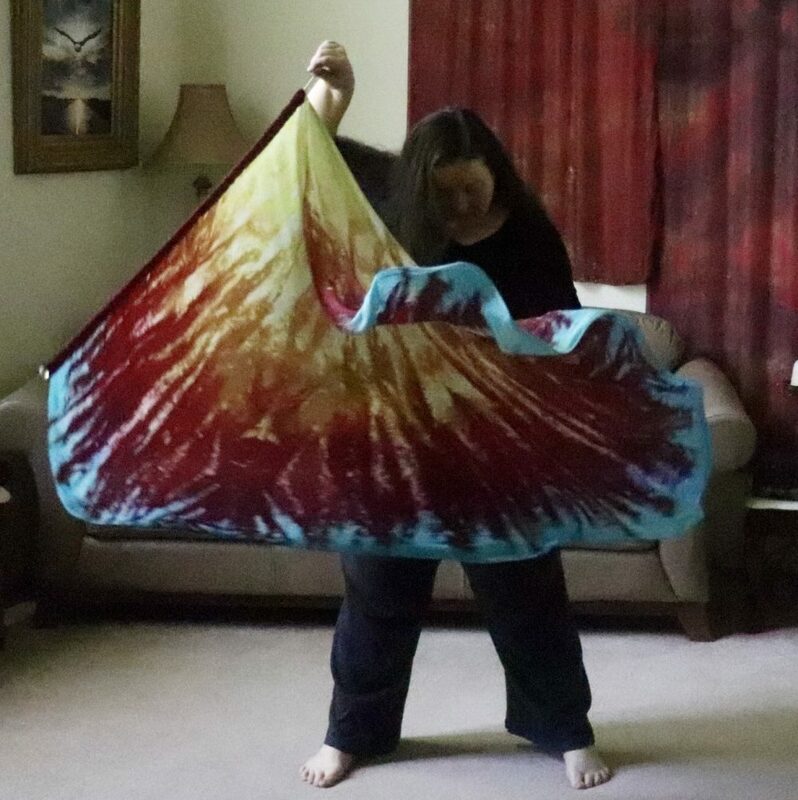 They are approximately 44×72” and have a hand-rolled, machine-sewn hem. 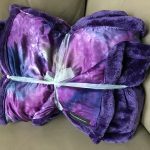 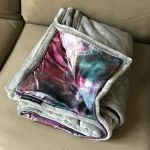 If you curl up on the couch during quiet times with the Lord, you will love one of these prayer blankets! 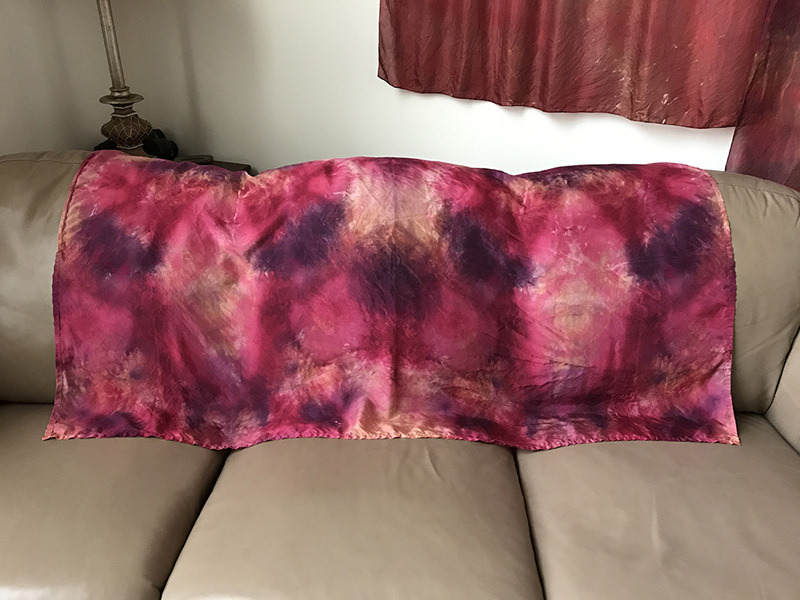 These velvety throws have a Dyed4you silk inlaid in them. 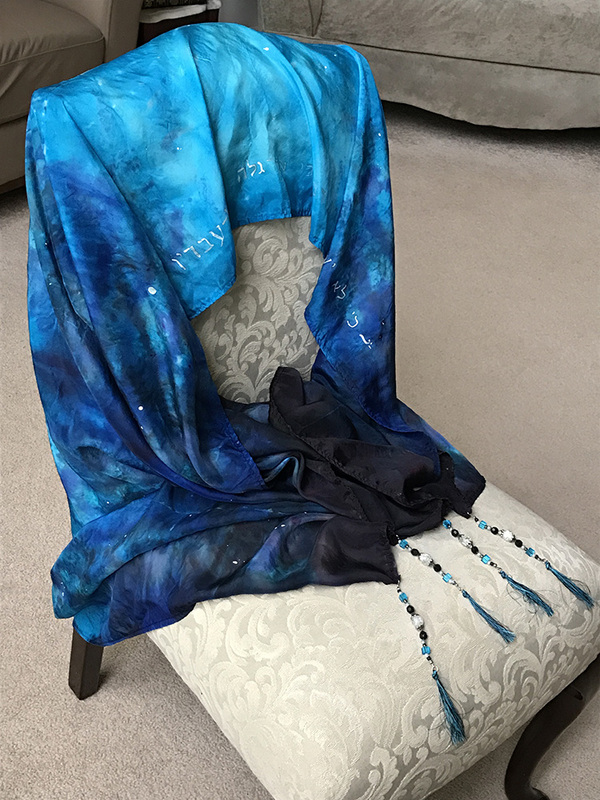 The silk inlay is 100% charmeuse satin silk is light with a smooth touch and a lush sheen to the surface. 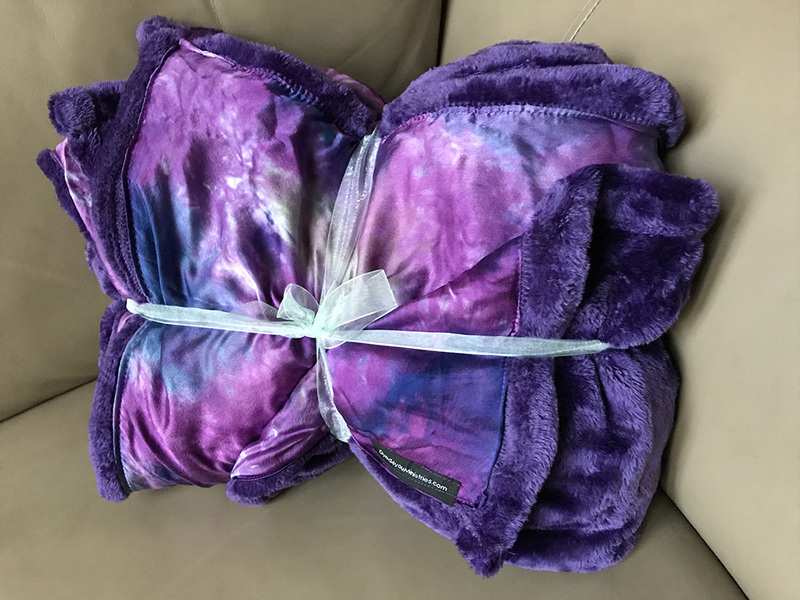 The texture is spectacular and it feels luxurious to the touch. 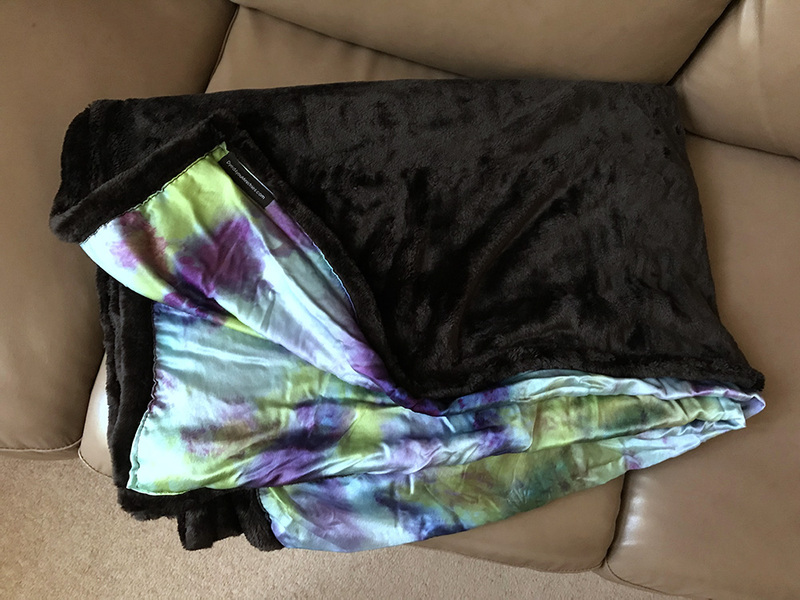 The velvet plush throw offers cozy warmth and is made of ultra-soft, supple microplush. 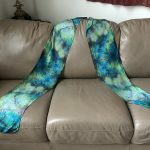 It is machine washable (though the silk may fade over time if washed often). 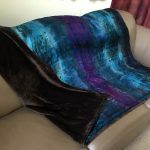 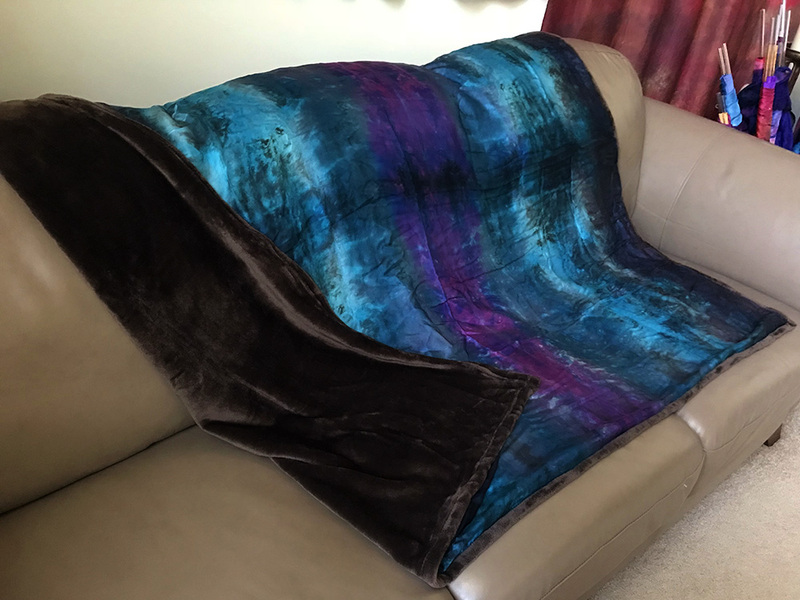 It is 50×60″ and the silk has been hand-rolled and machine-sewn into place. 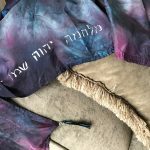 Some have wondered how it’s still “prophetic” if they are picking which silk they will receive from our Dyed4you Readymade store. 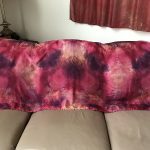 It’s a great question! 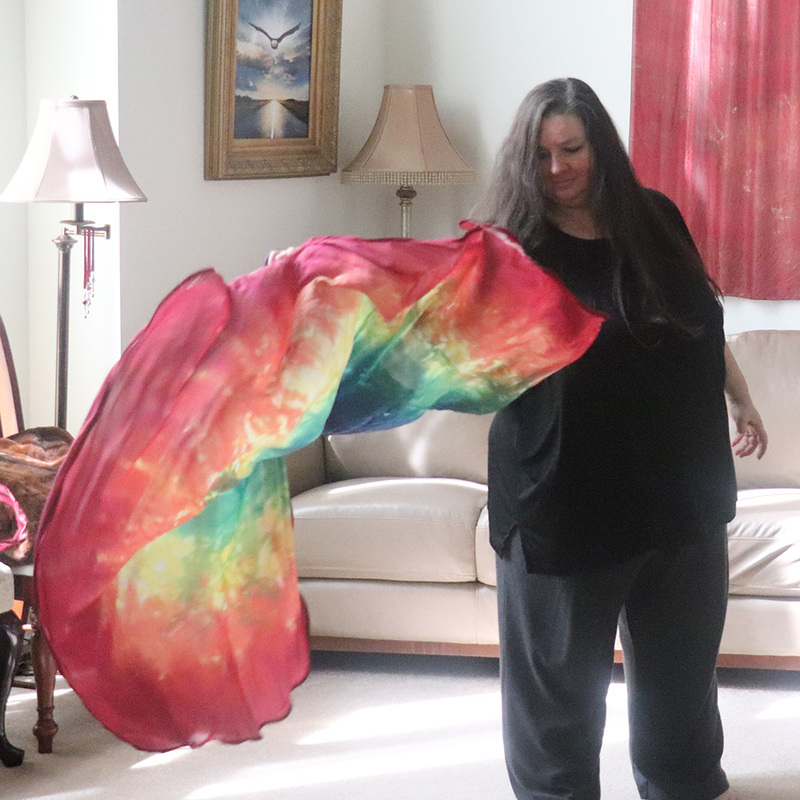 The answer is that since the inception of Dyed4you, God has often had us make silks before they were ordered because HE knew which order was coming and He knew He’d tell us “this is who that goes to.” The only difference here is we’re involving YOU in that process. 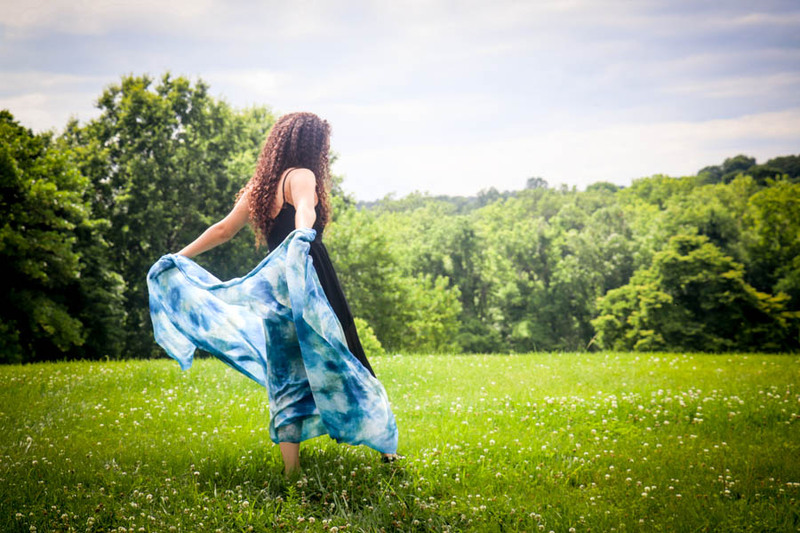 We believe God will speak to you about which one He wants you to get. 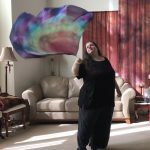 He’s so much bigger than we know! 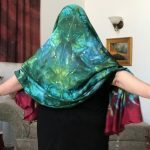 As I mentioned above, yes, we get the same awesome testimonies we always have. 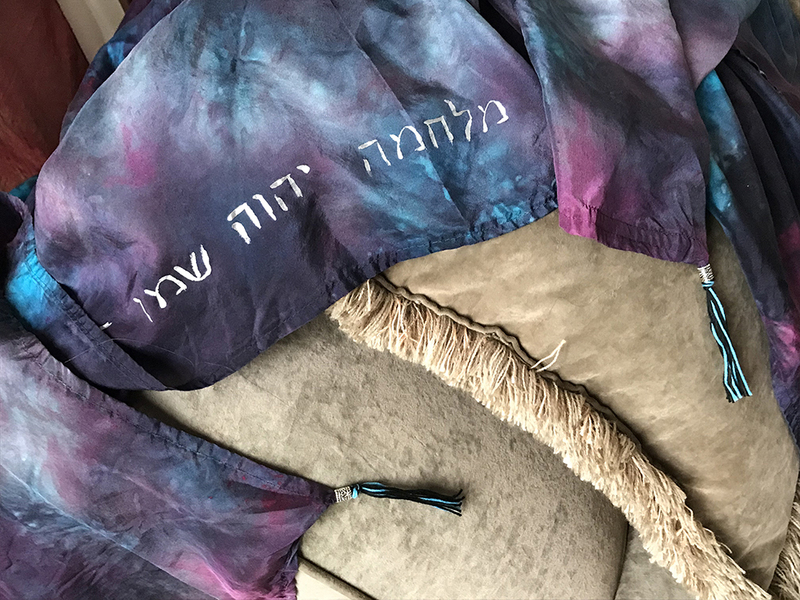 So God is definitely blessing people through this new venue 🙂 If you are interested to see some, check out our Dyed4youReadymade tag on our Dyed4you blog. All those stories are ones that are from our Etsy store (or related custom requests)! 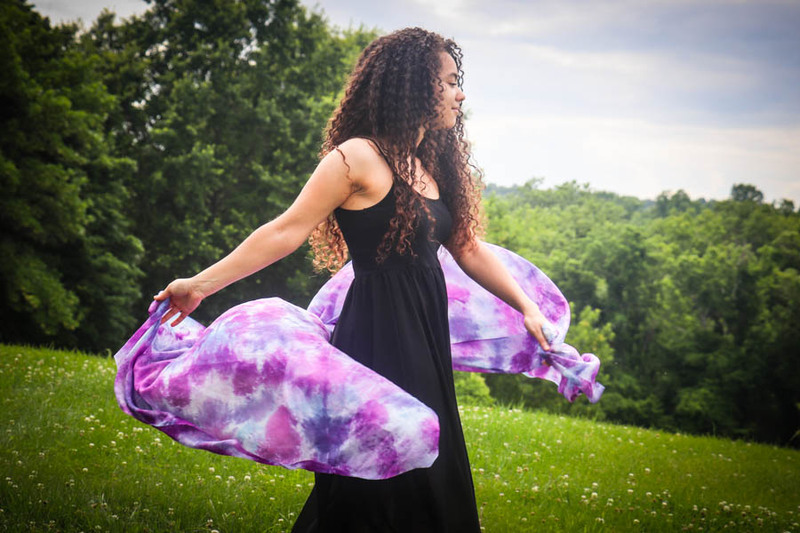 If you’re interested in something specific or not sure what you want and have questions, feel free to call (314.504.1162) or use the form below. 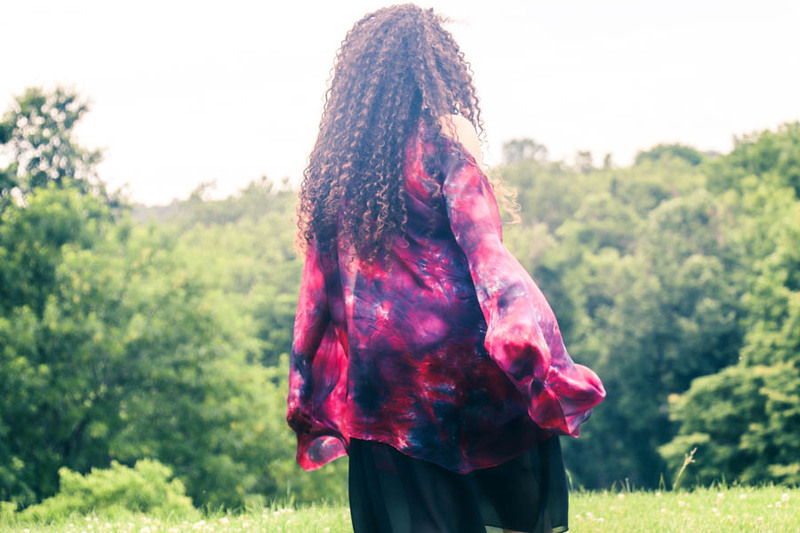 I ask for your phone number because sometime we’ll respond only to have it kick back our email or it’ll end up in your junk folder, so we like having a back-up method of contact. 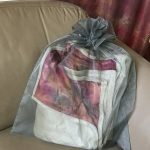 We don’t sell or share your contact information, we treat it like we want someone to treat ours!